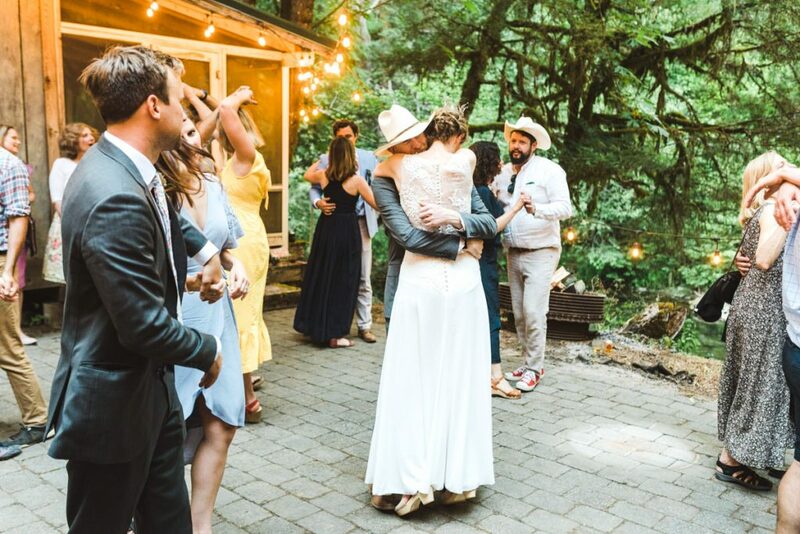 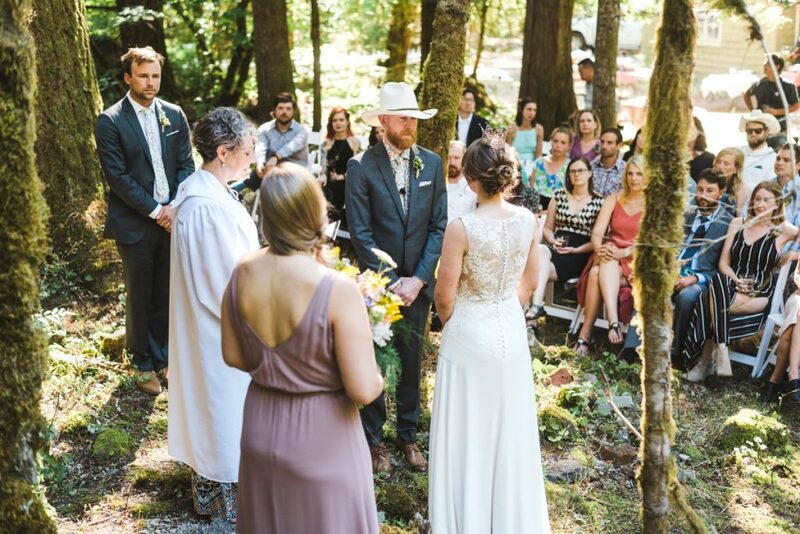 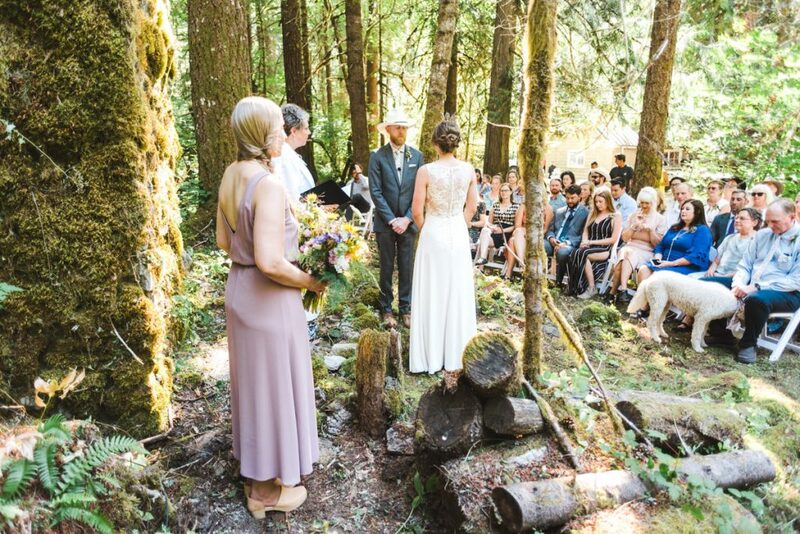 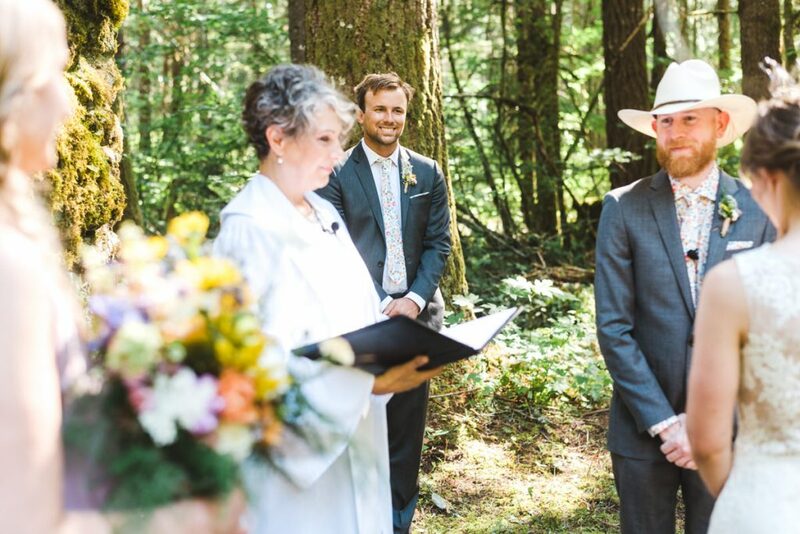 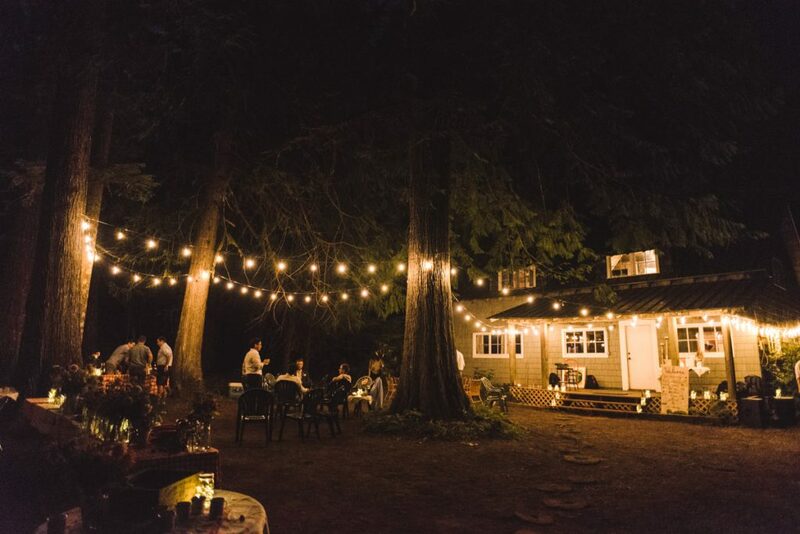 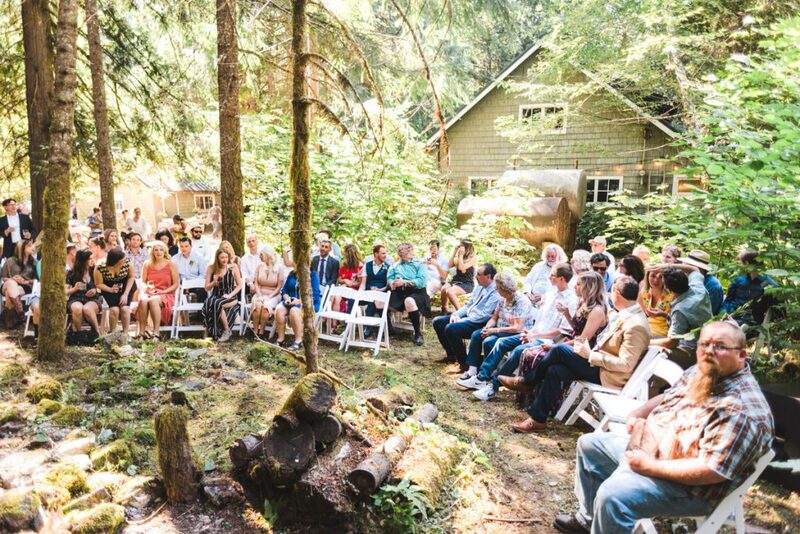 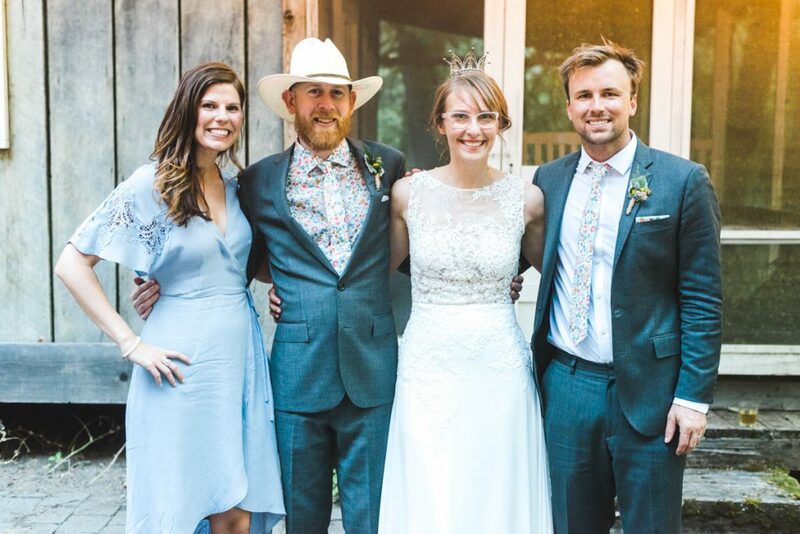 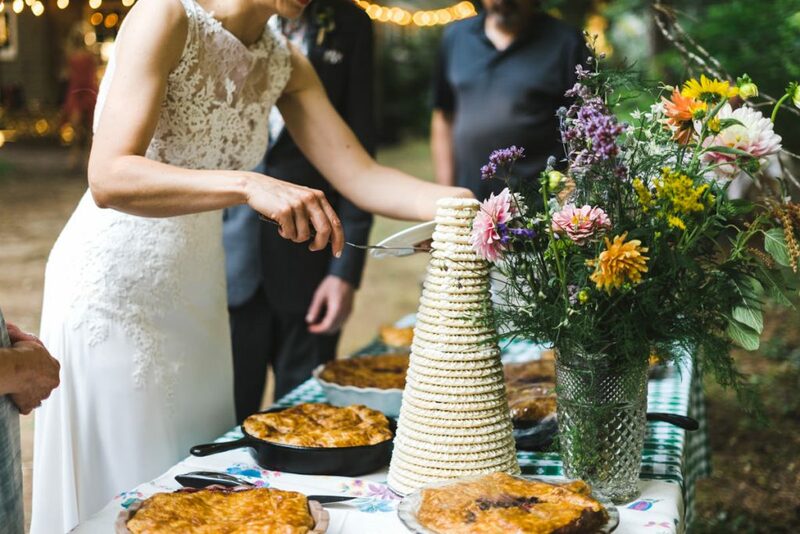 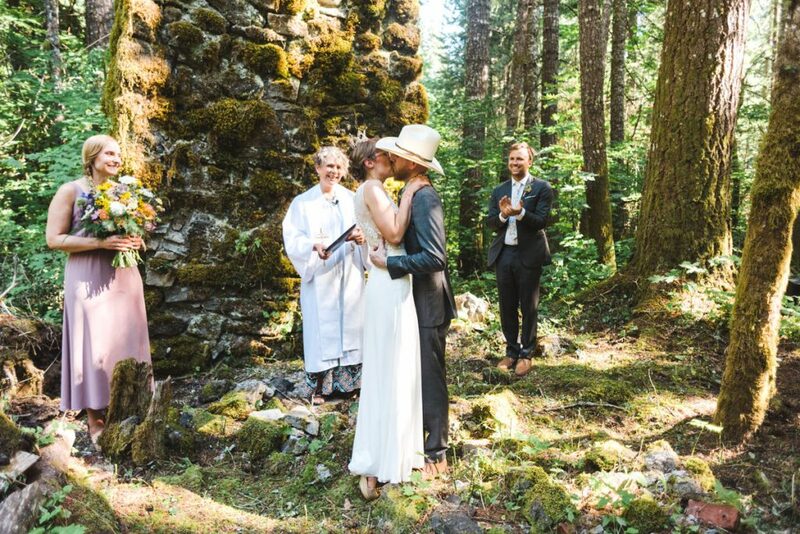 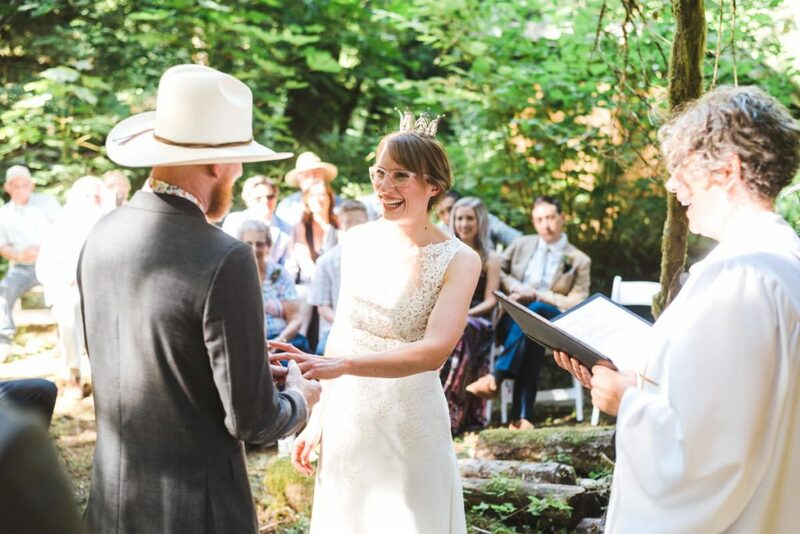 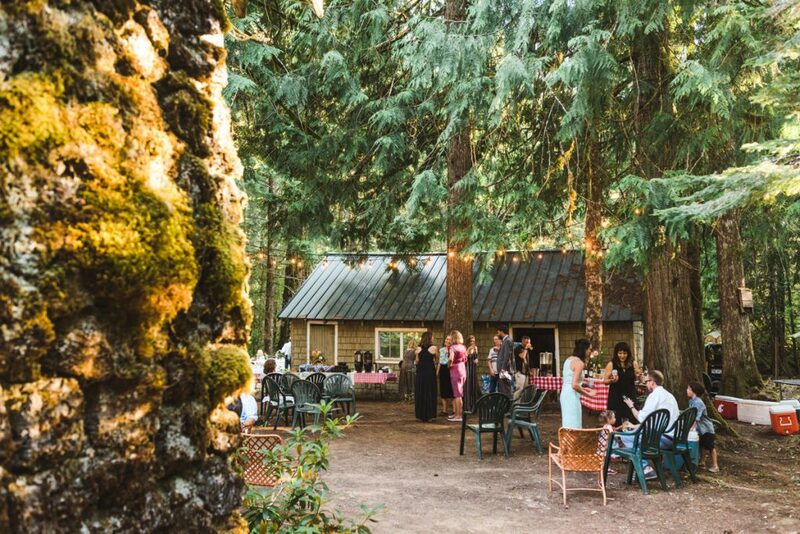 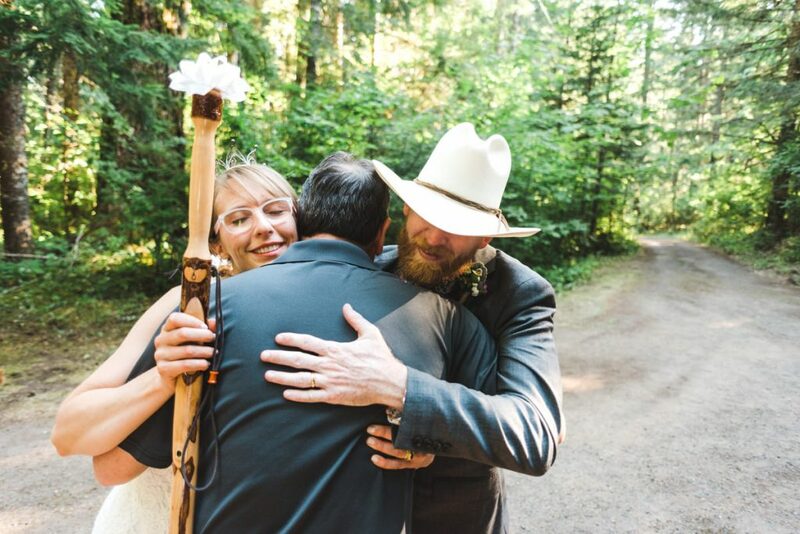 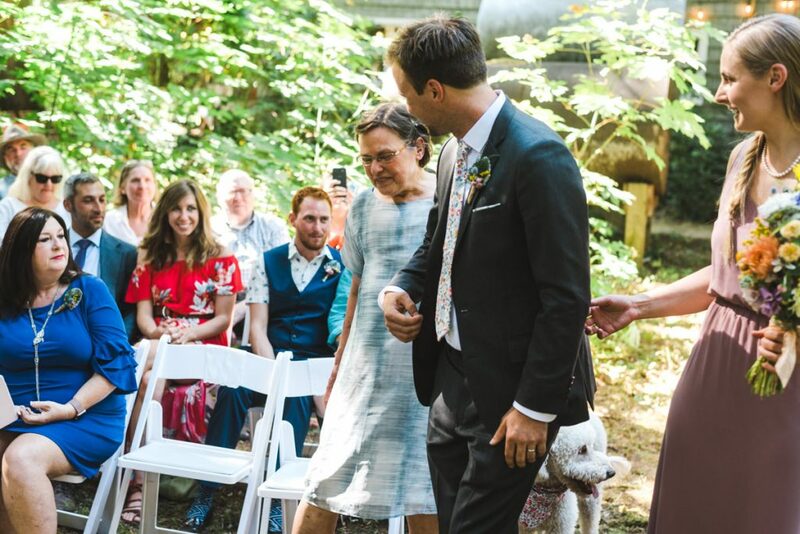 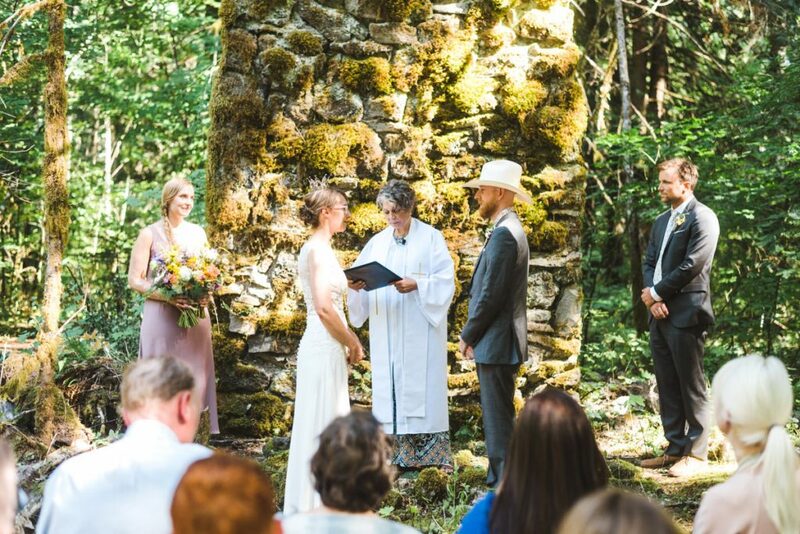 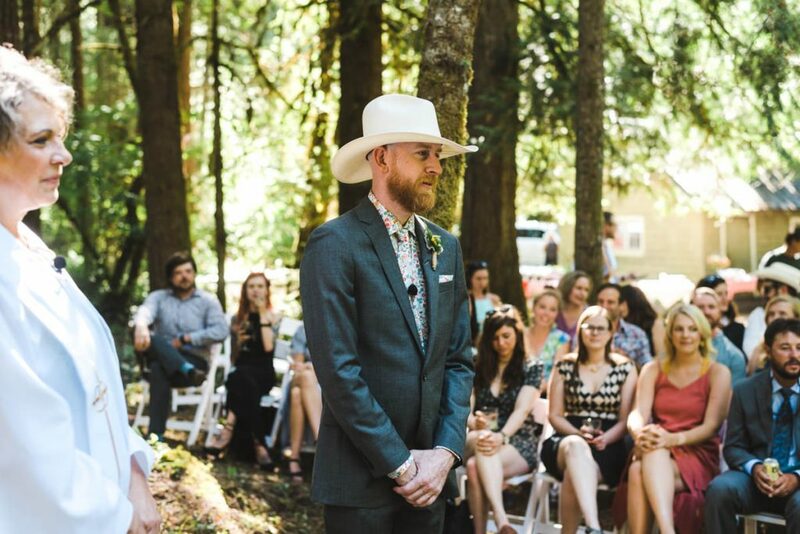 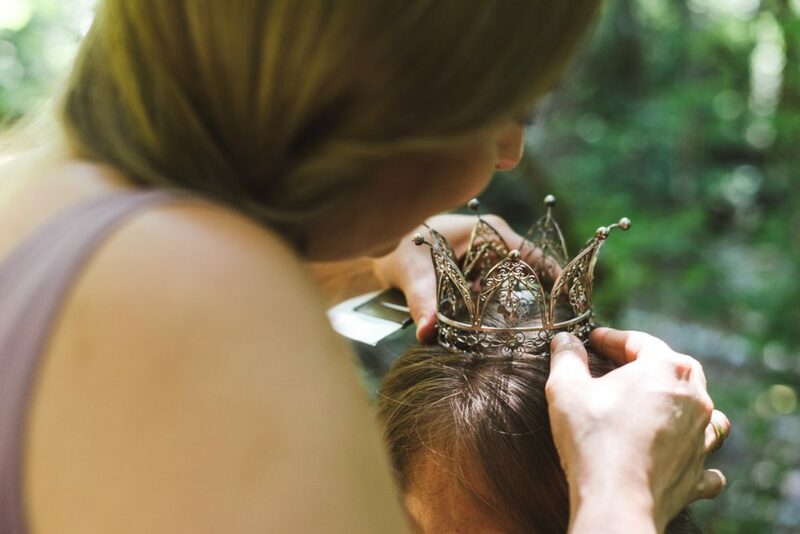 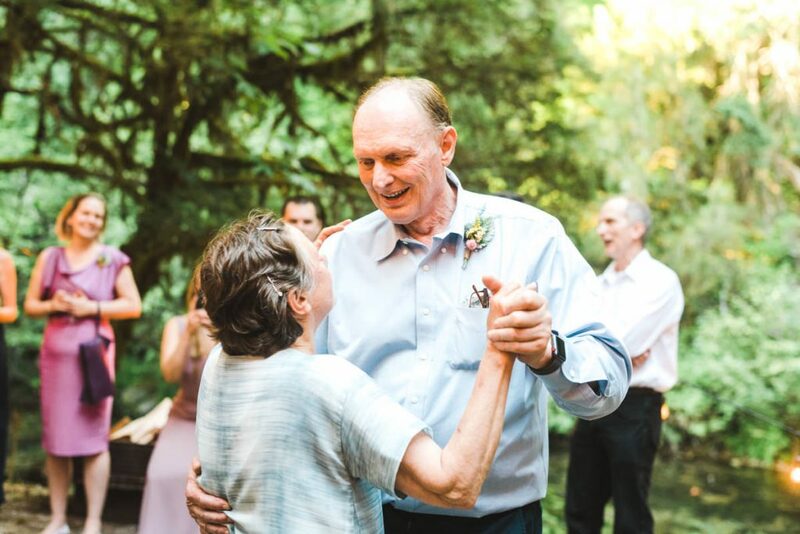 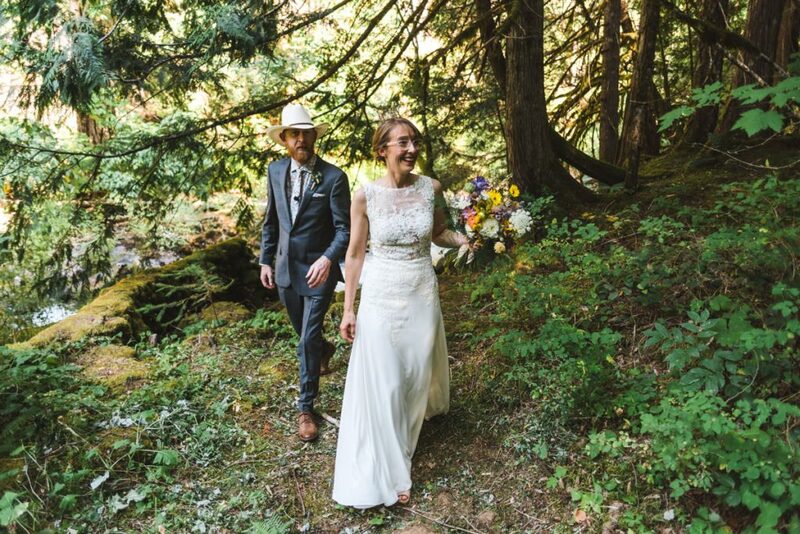 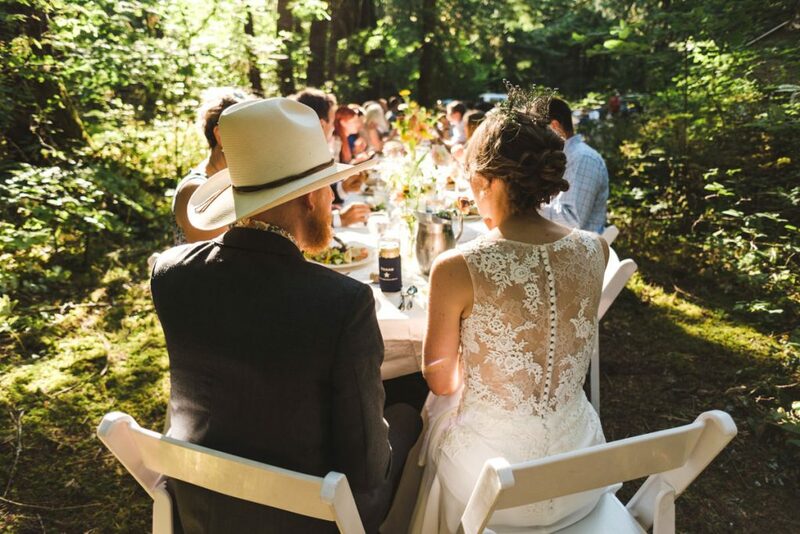 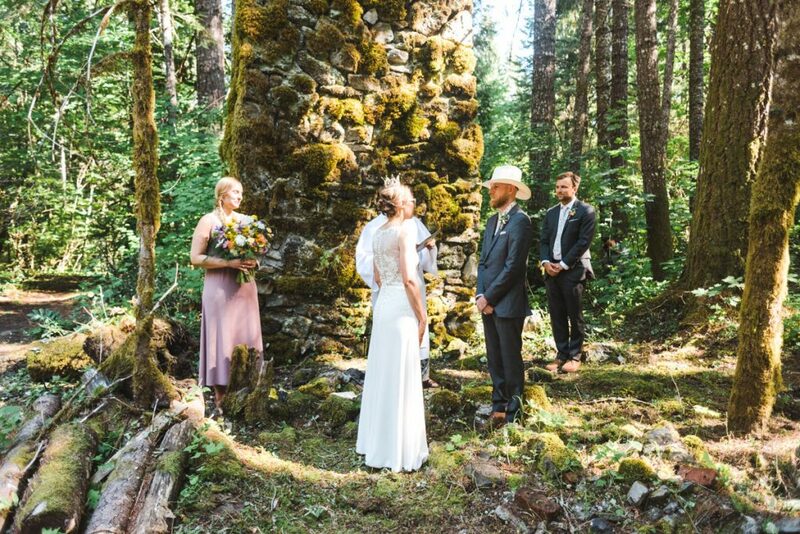 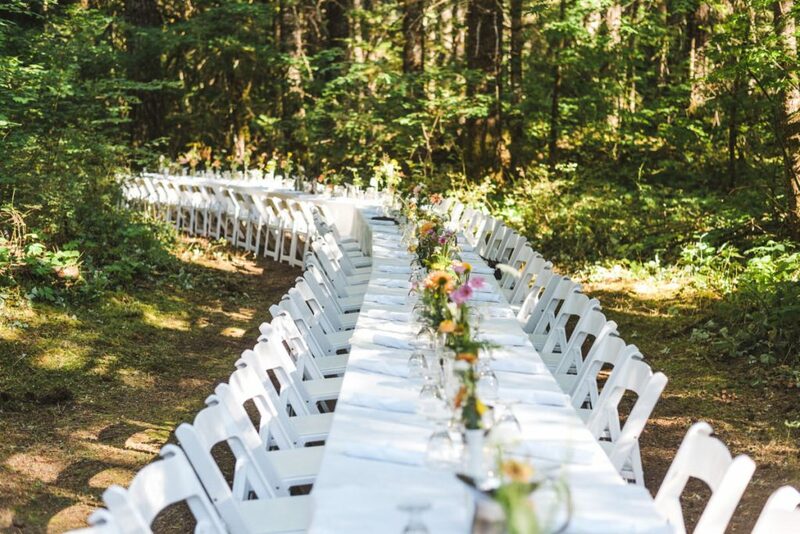 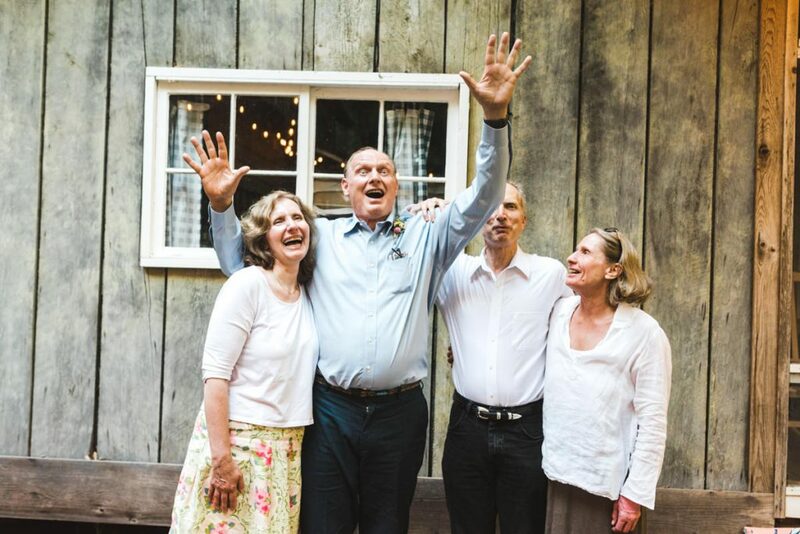 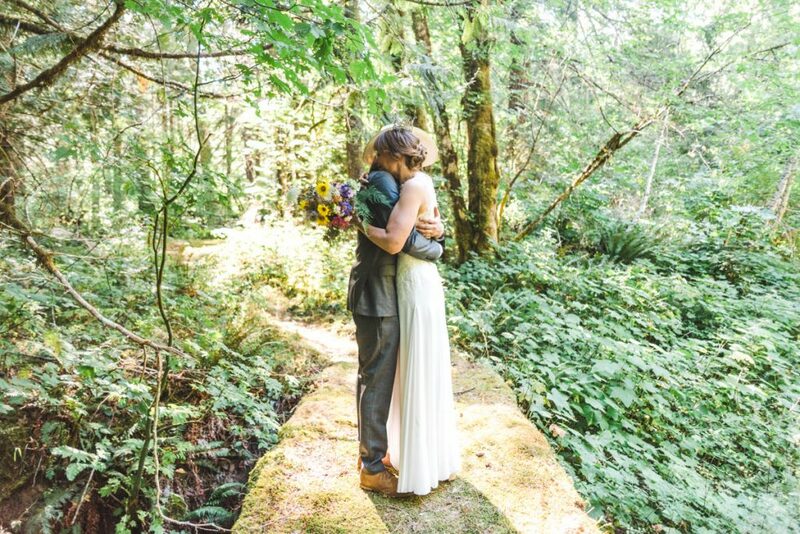 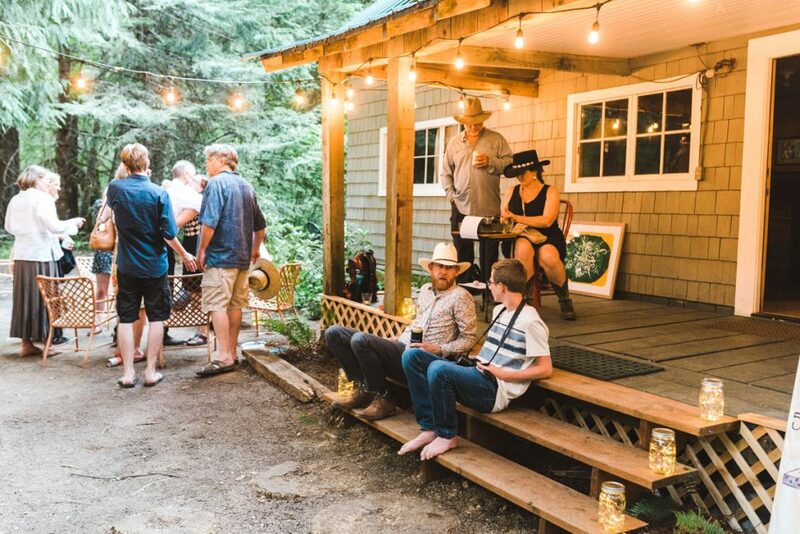 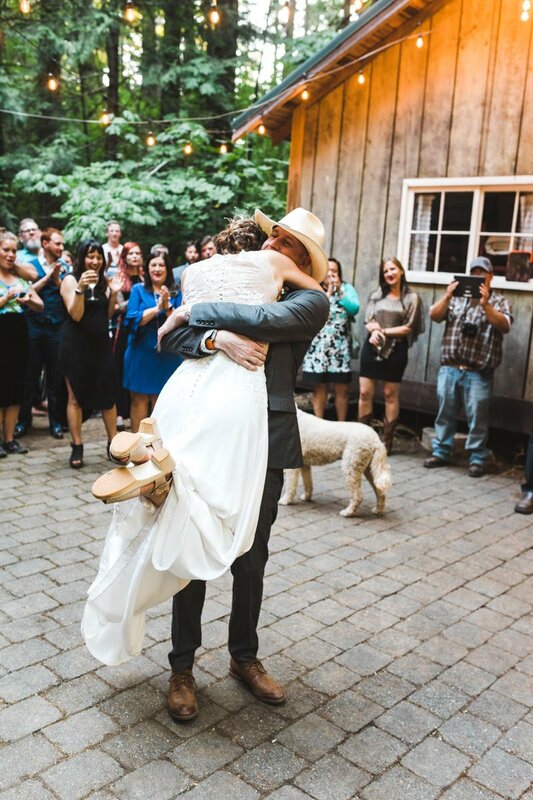 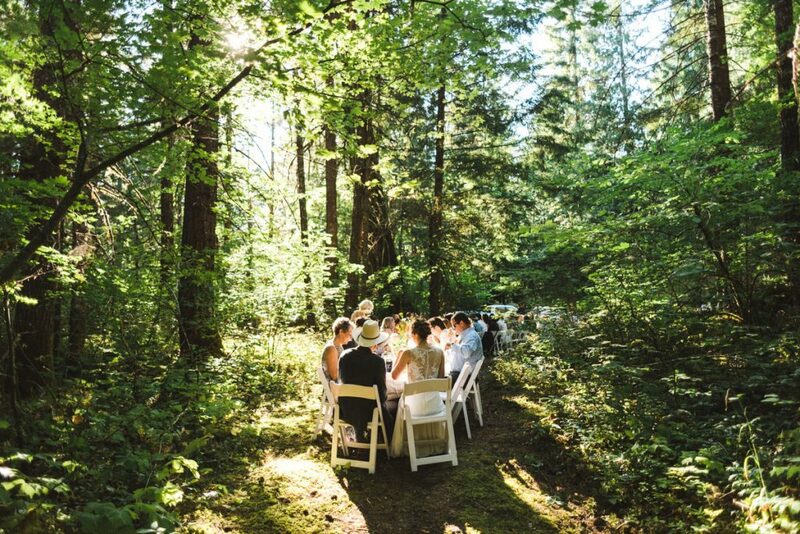 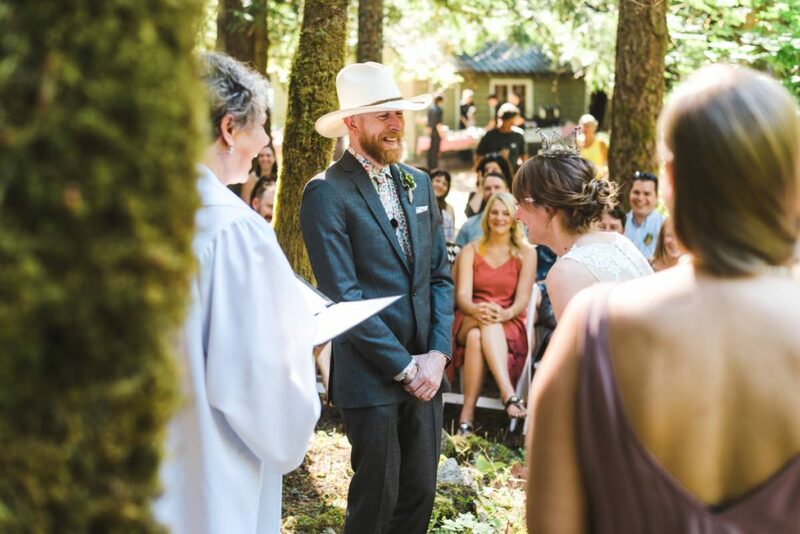 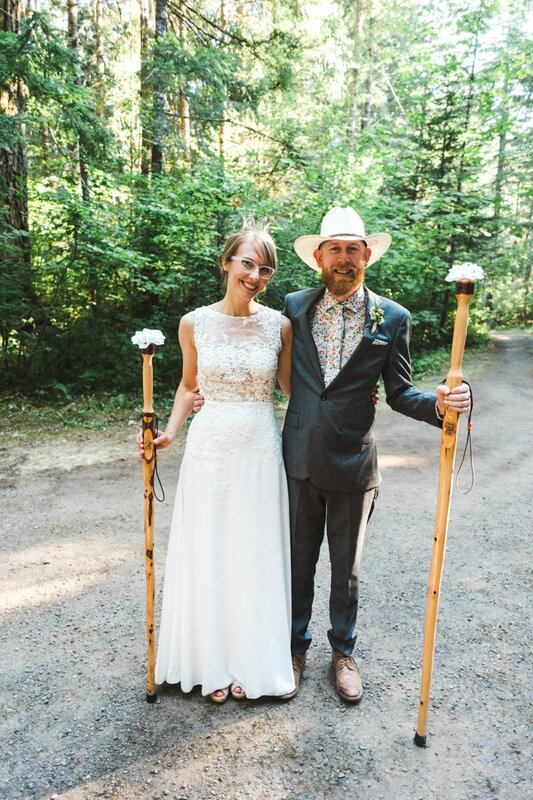 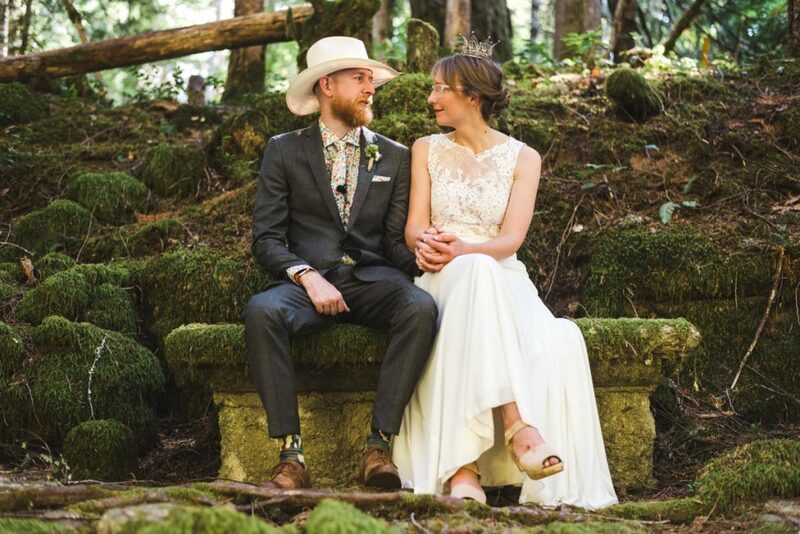 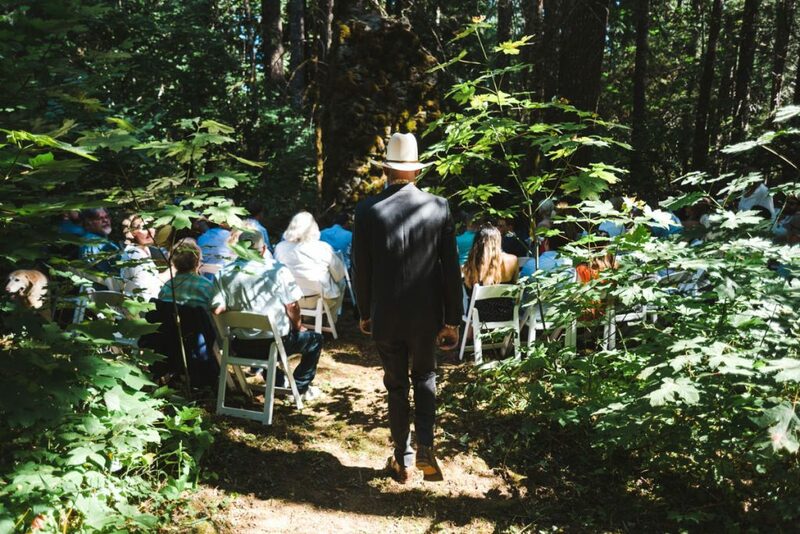 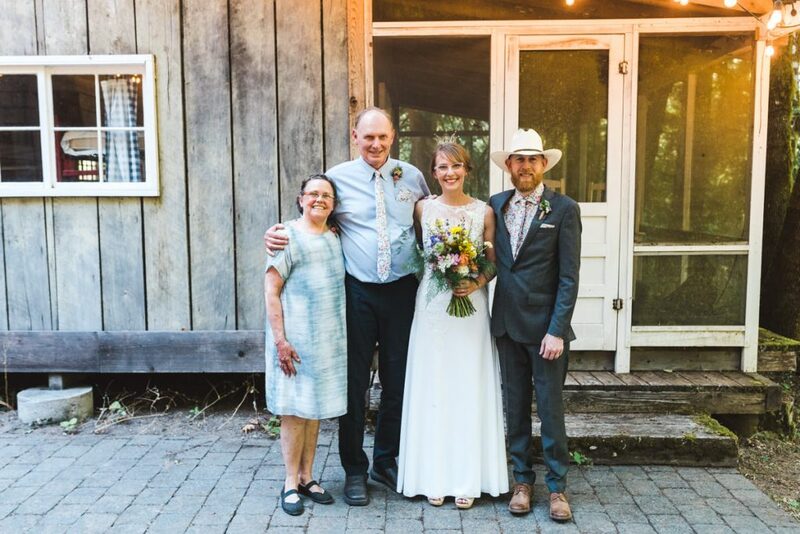 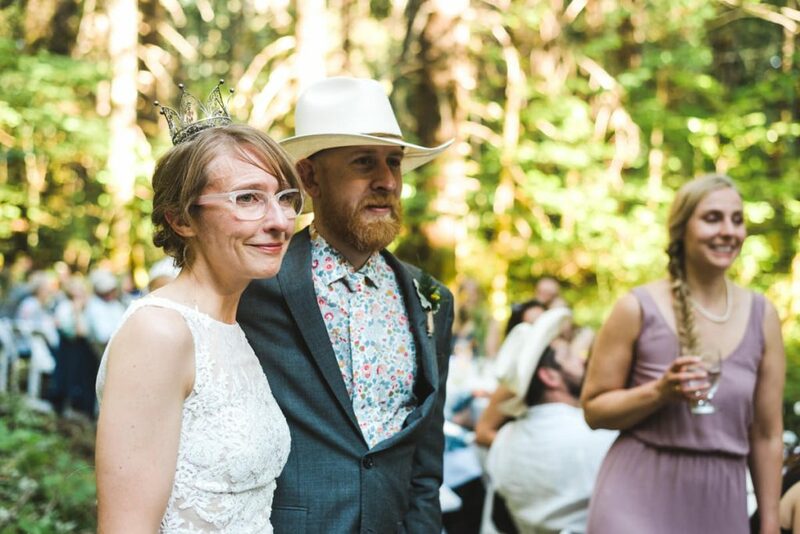 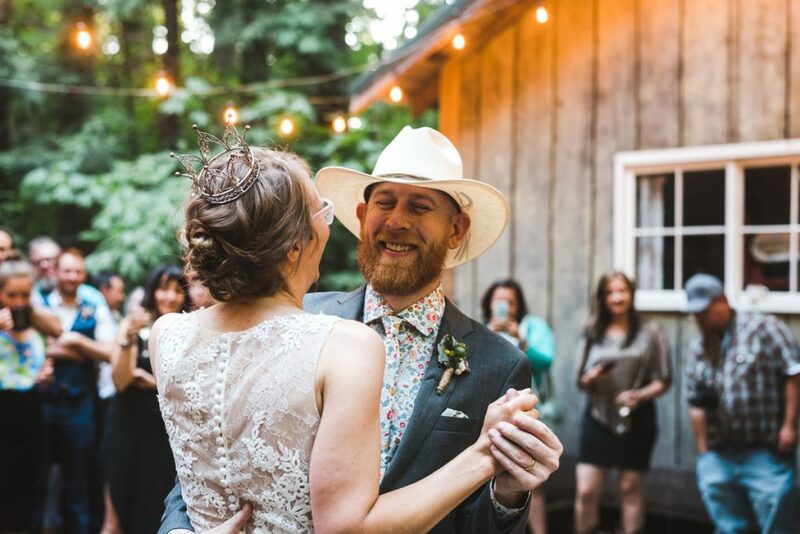 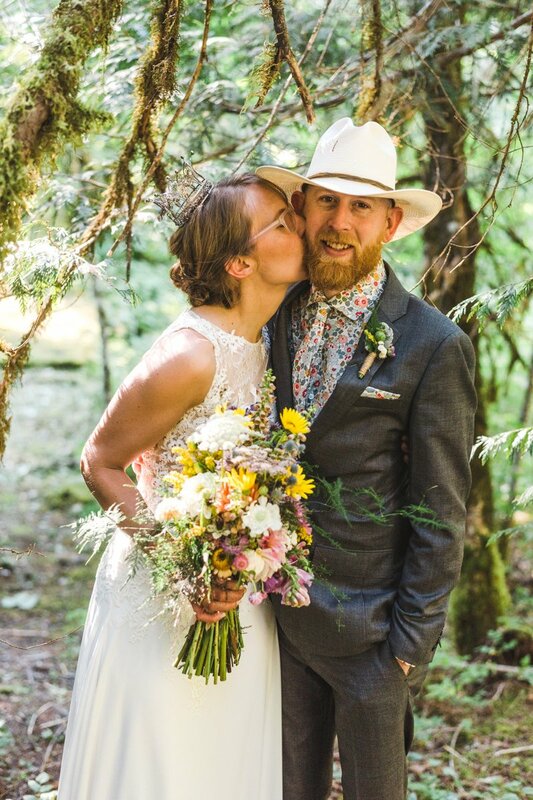 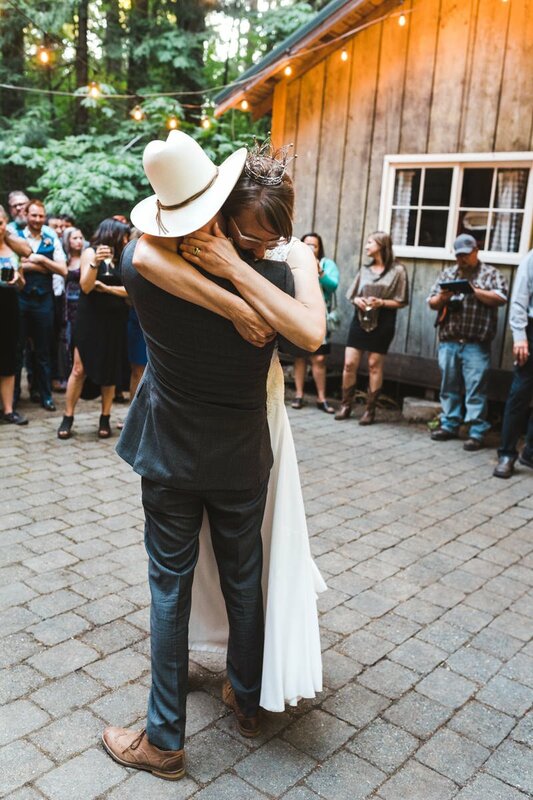 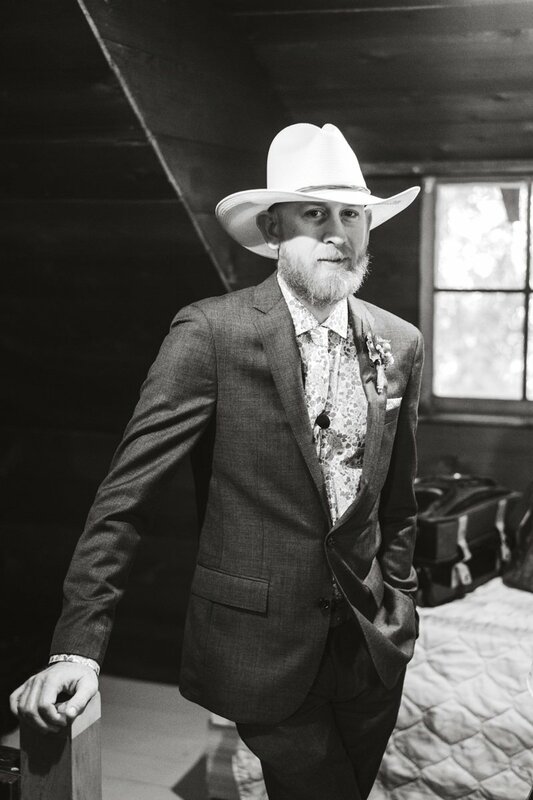 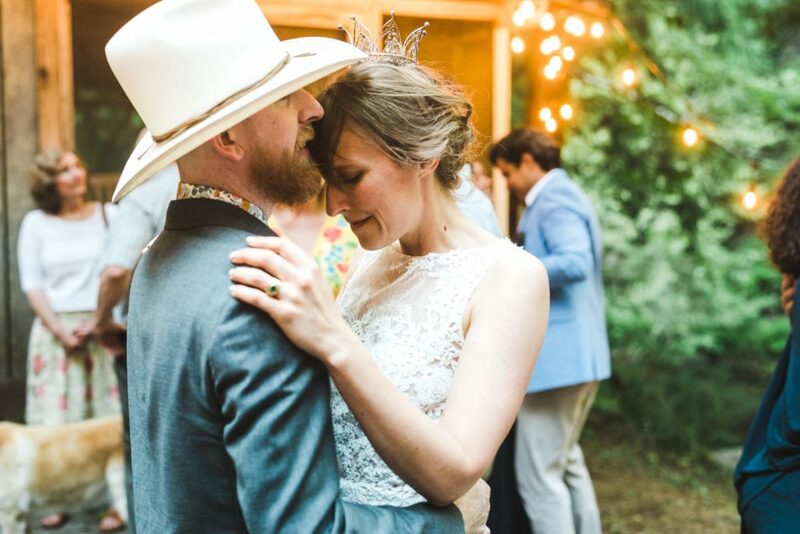 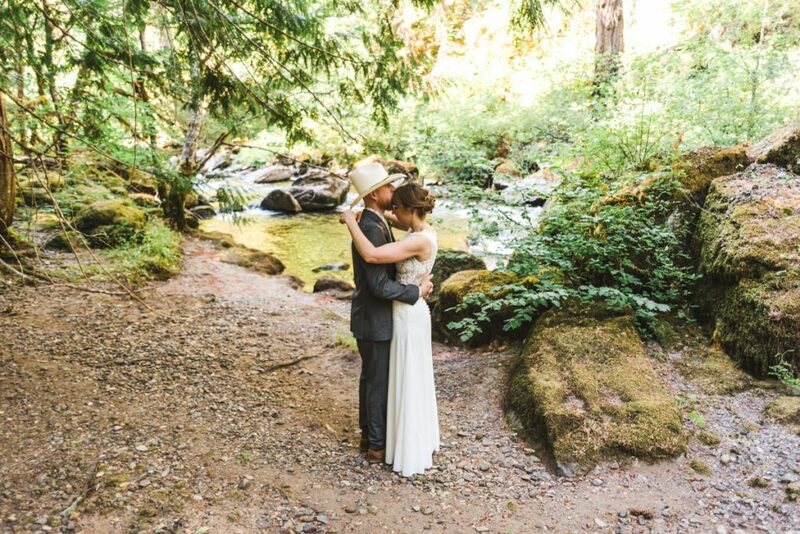 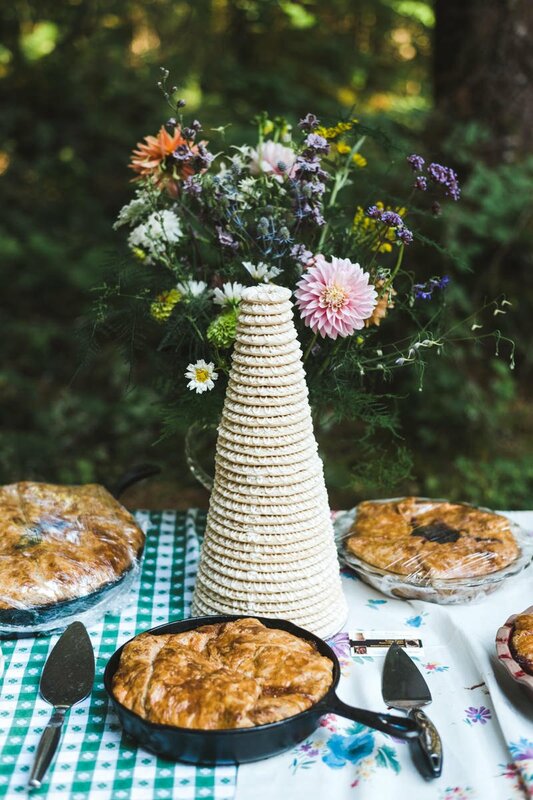 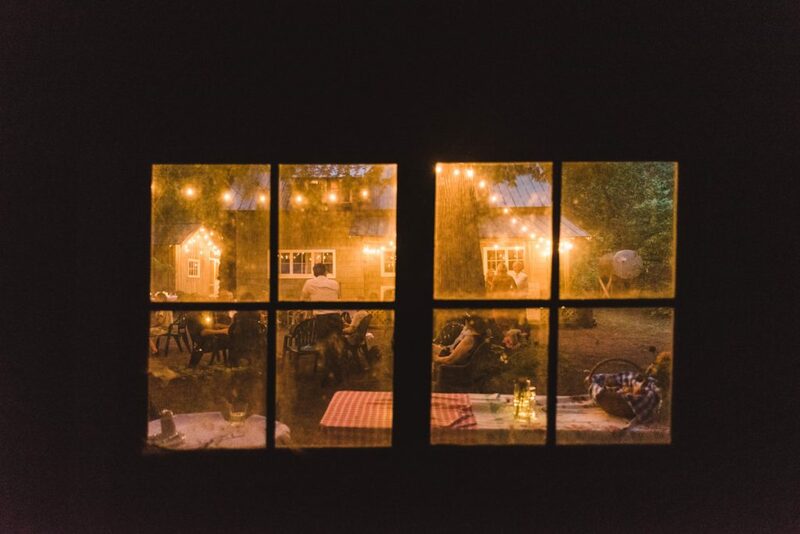 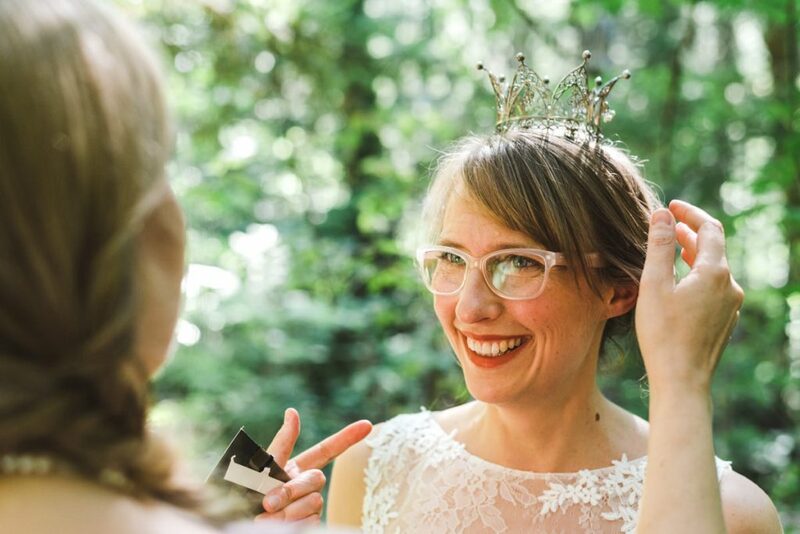 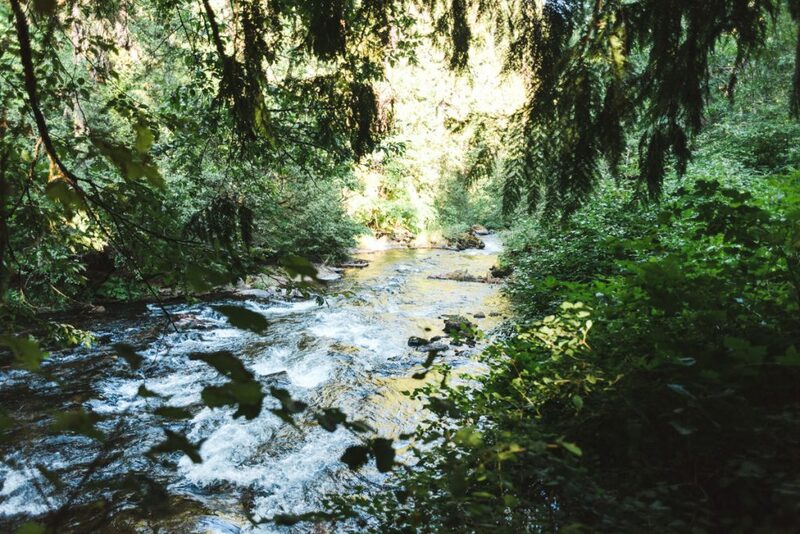 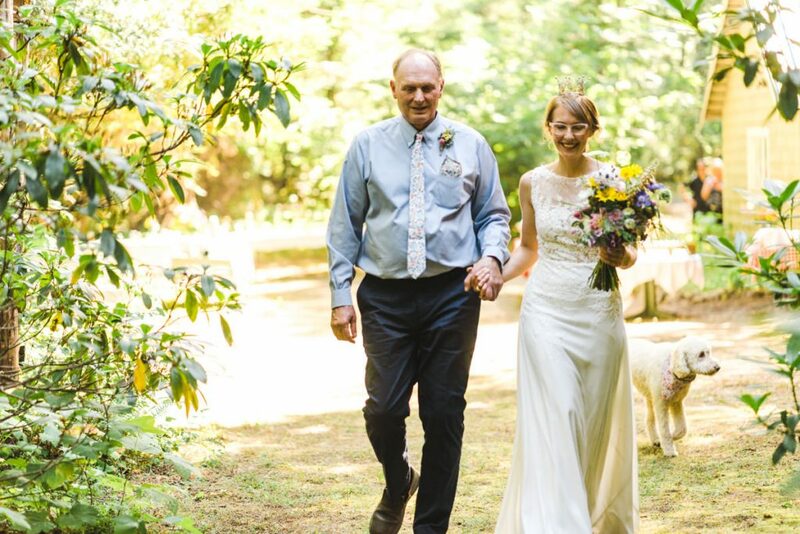 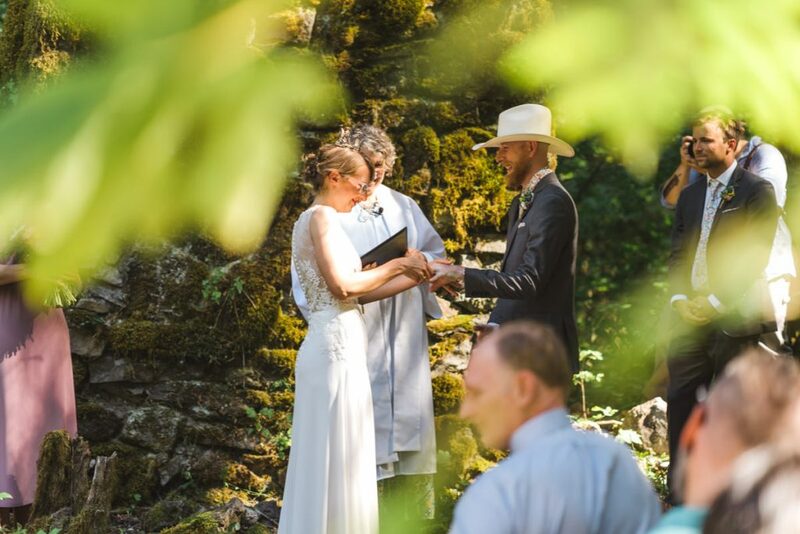 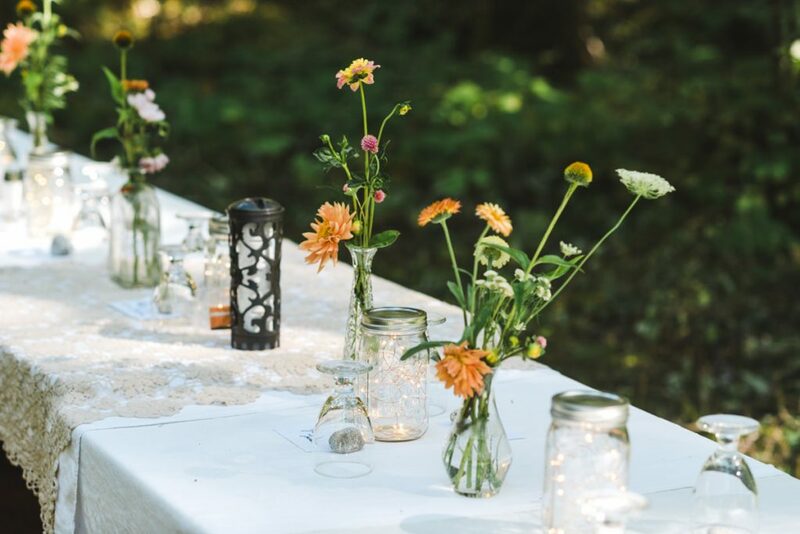 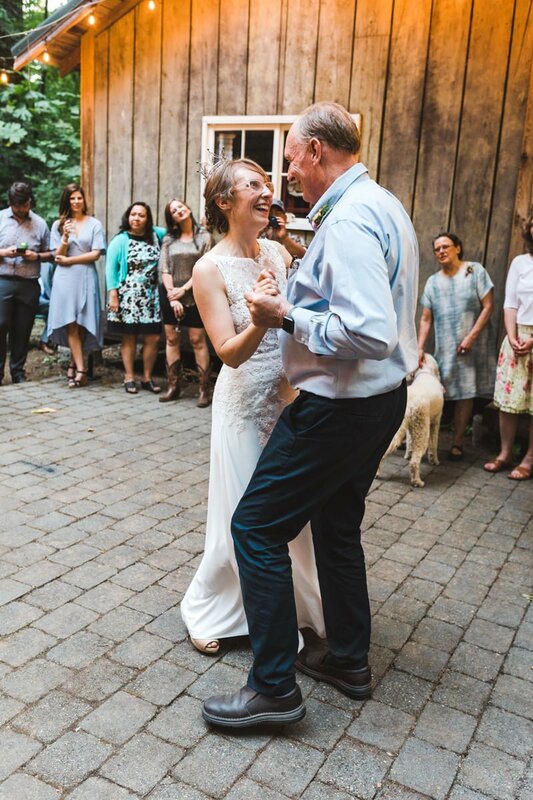 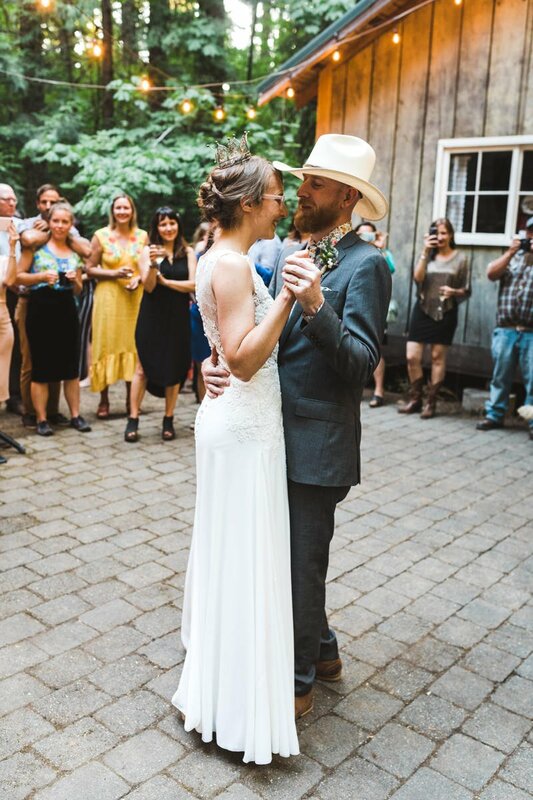 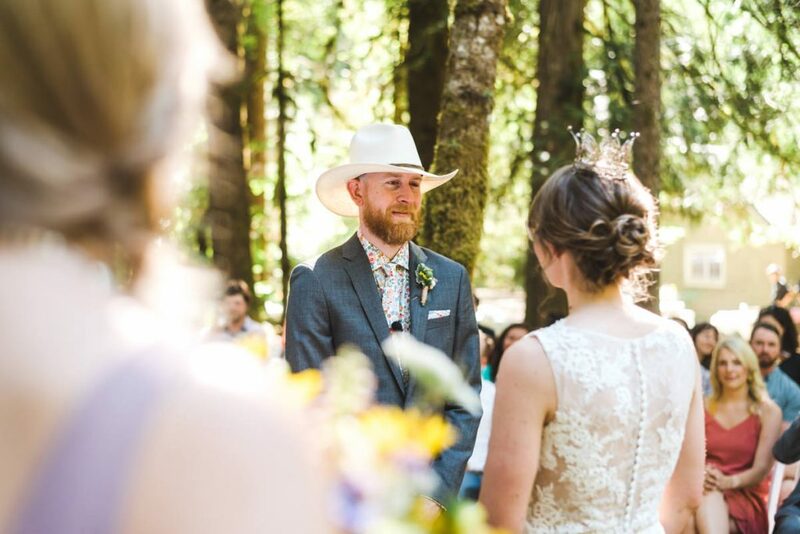 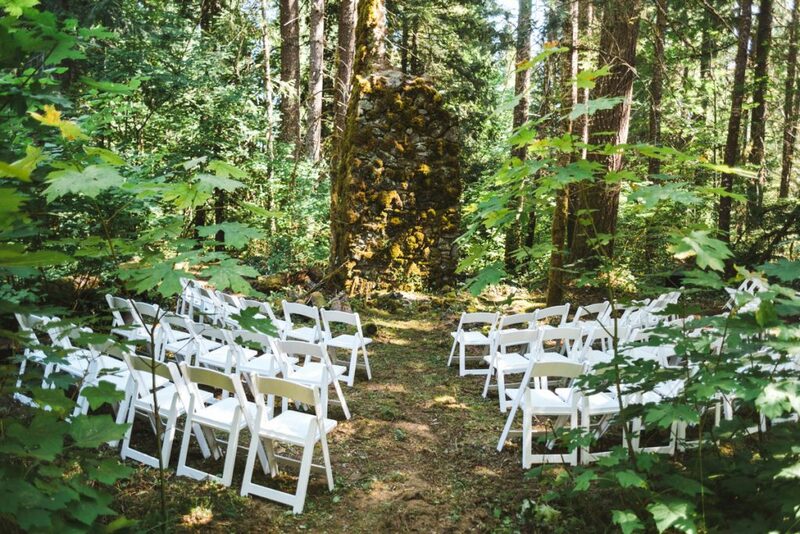 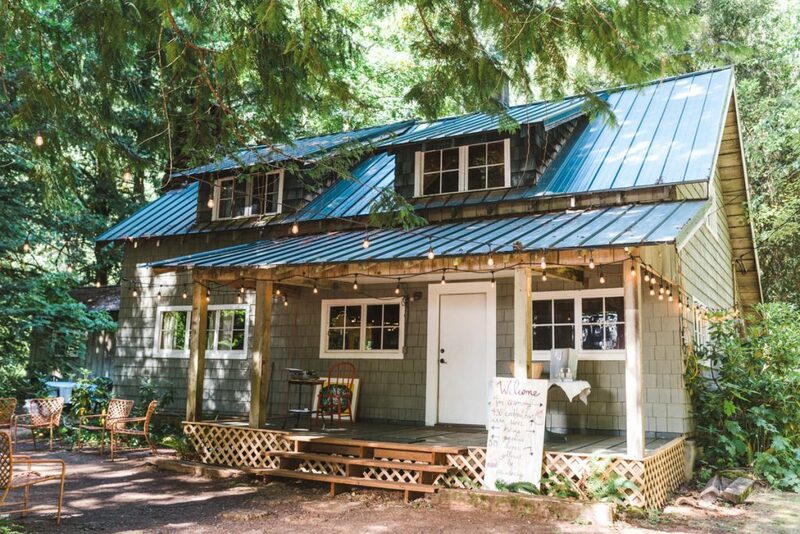 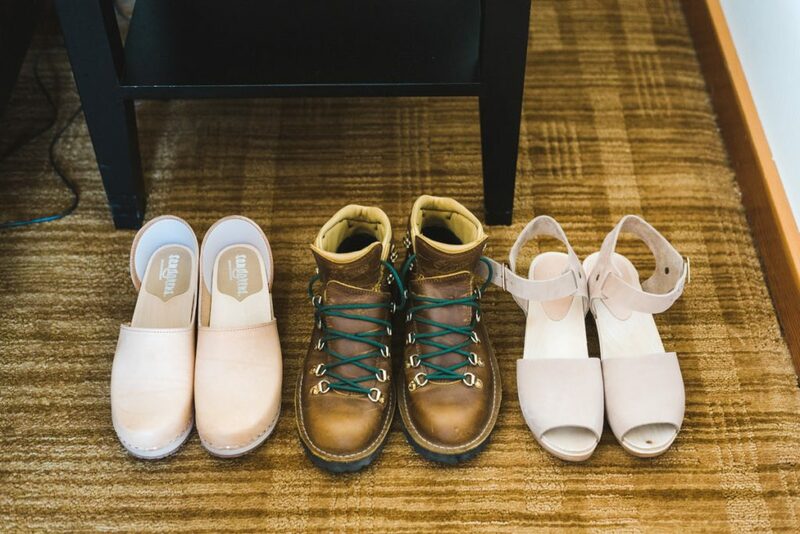 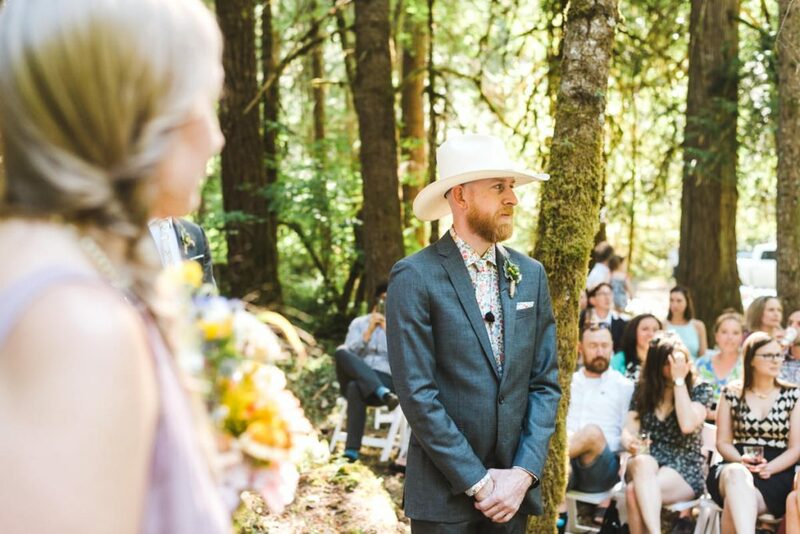 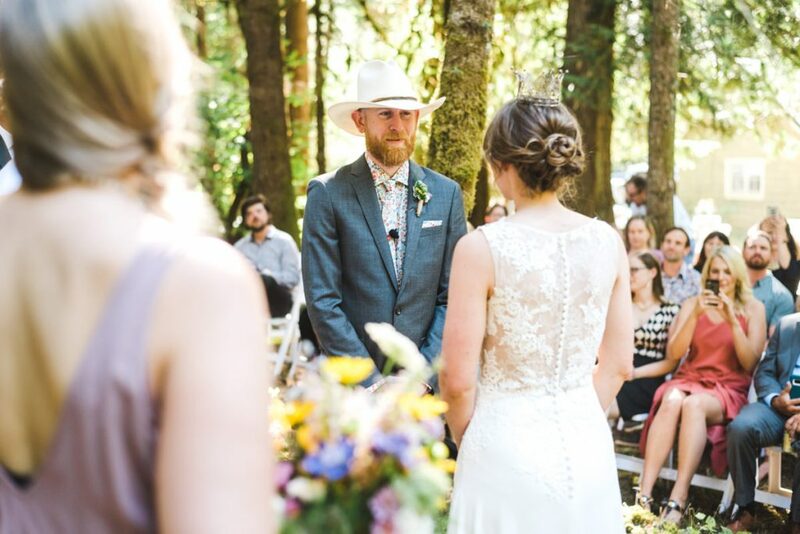 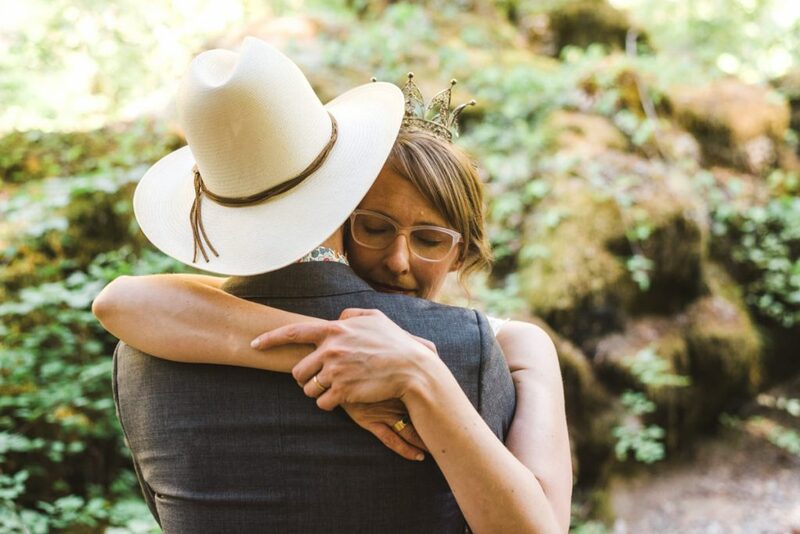 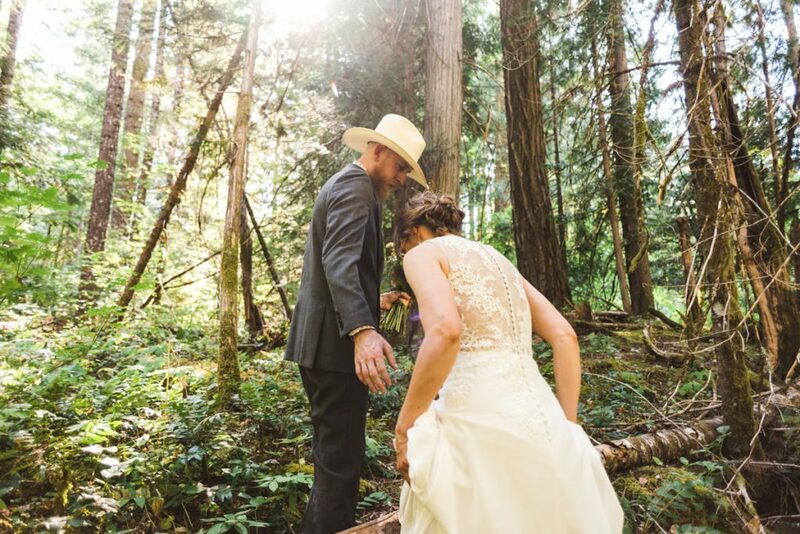 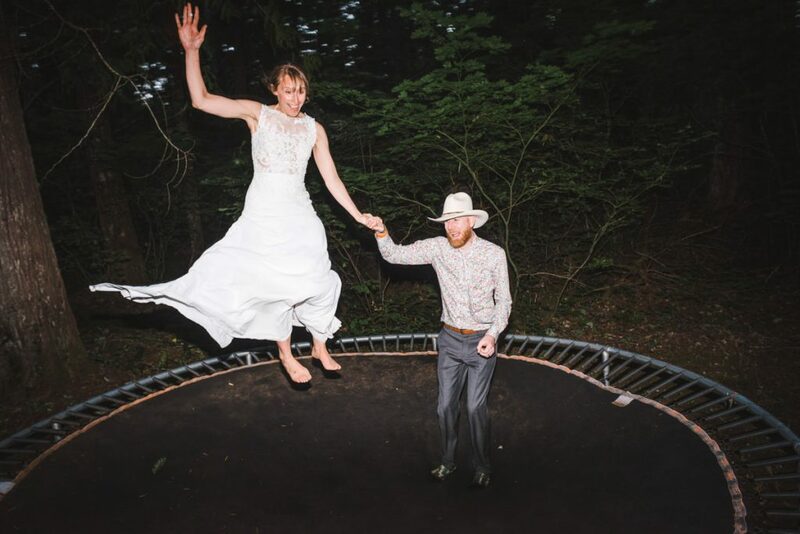 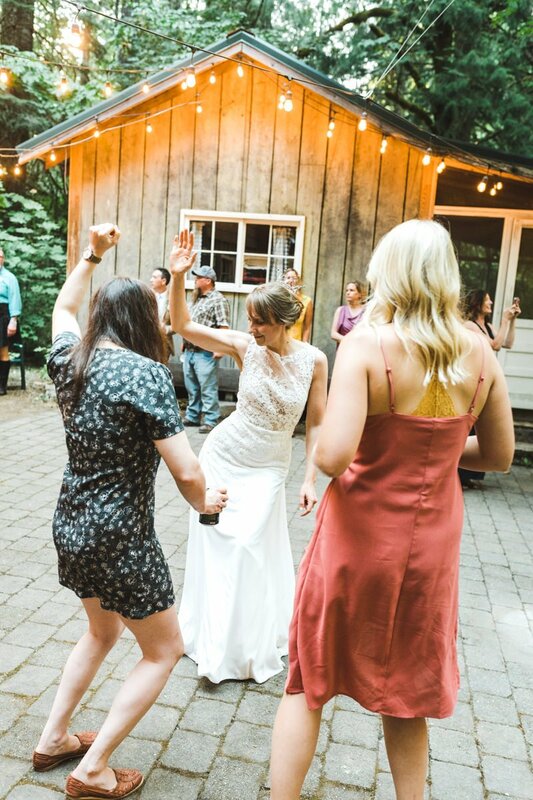 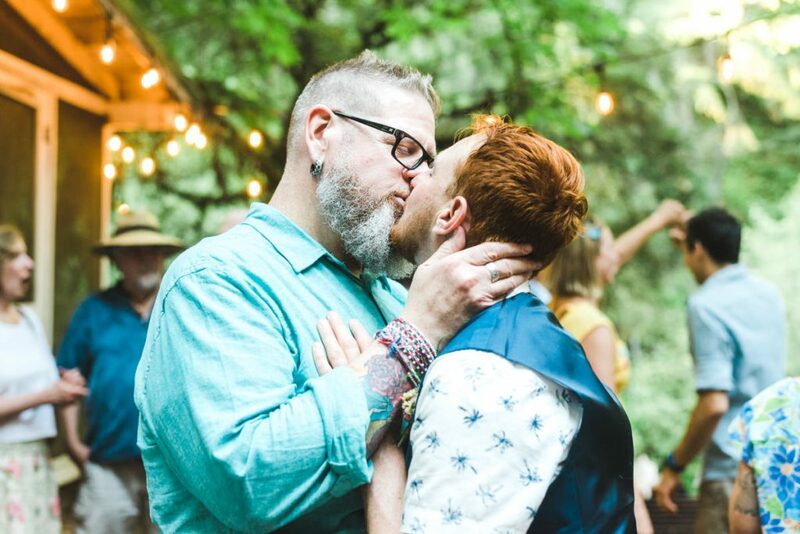 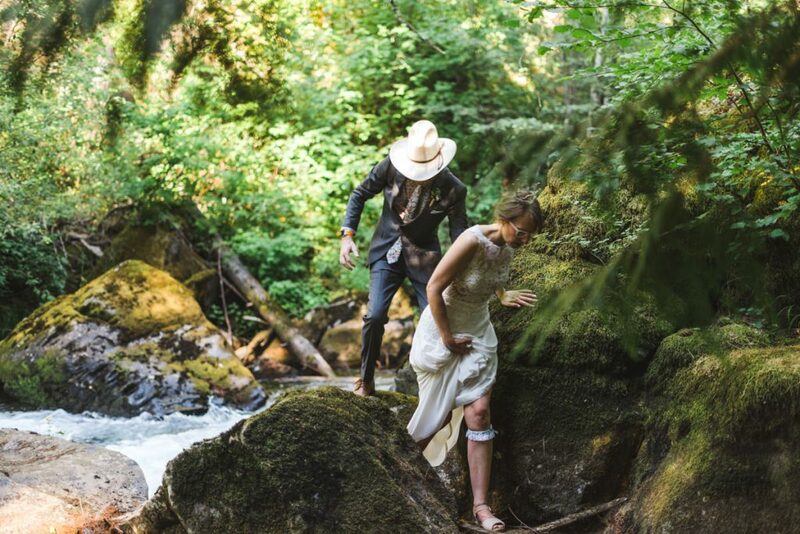 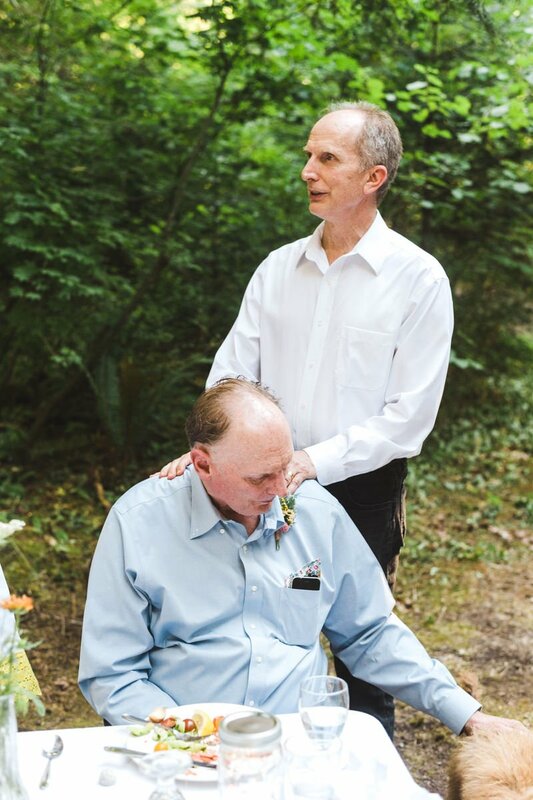 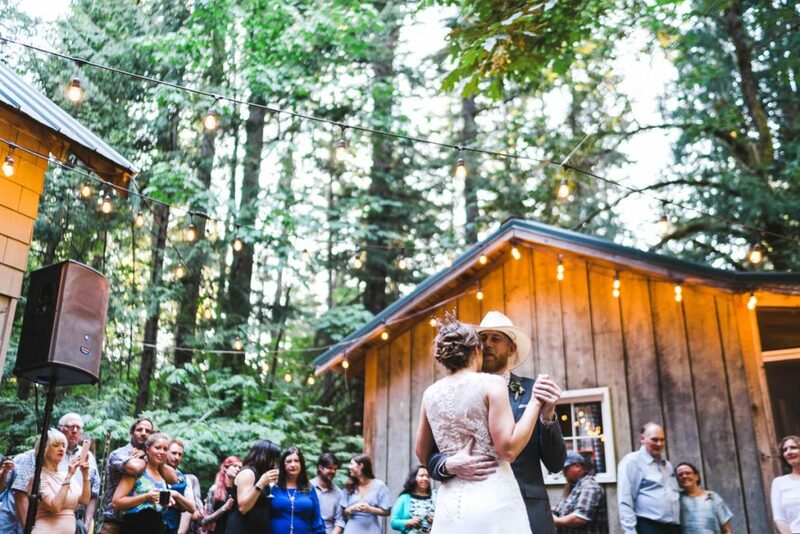 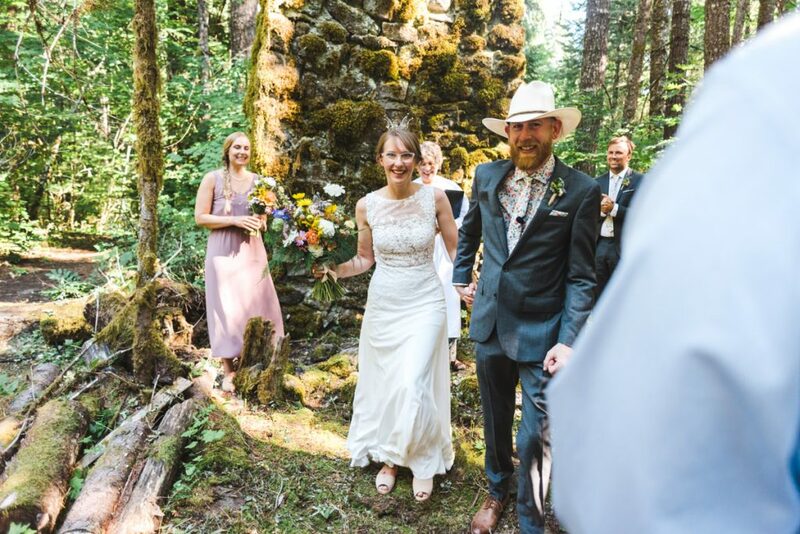 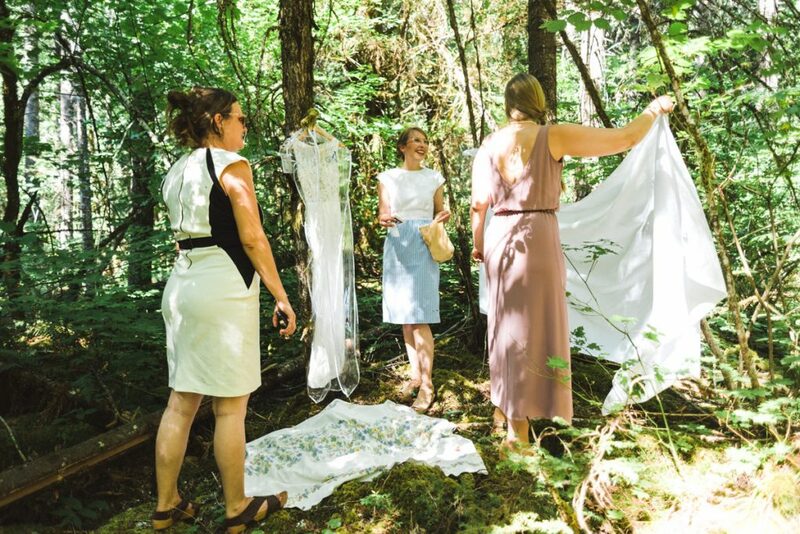 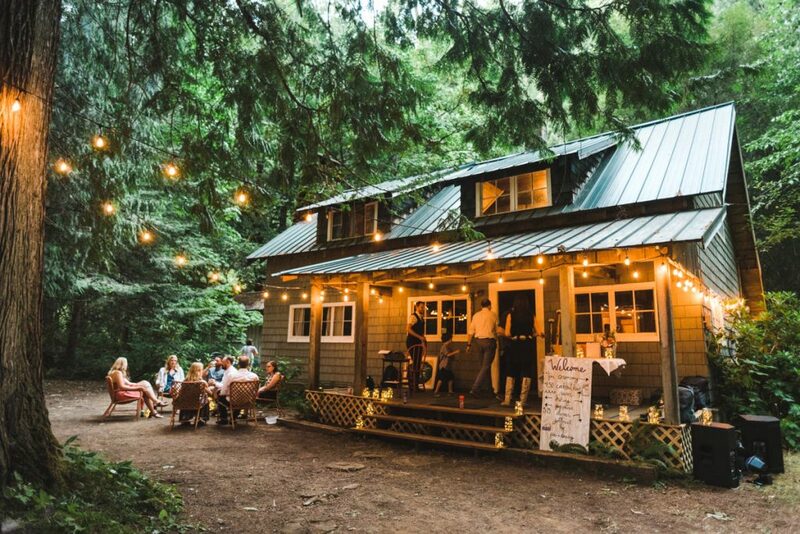 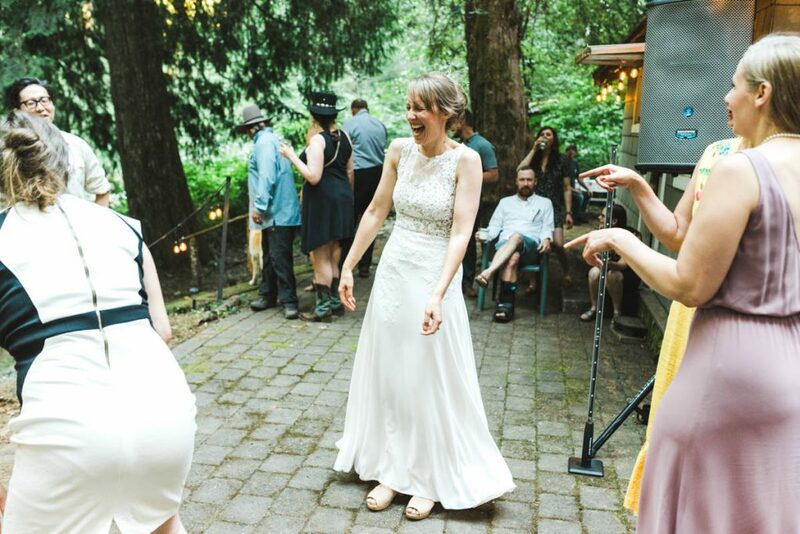 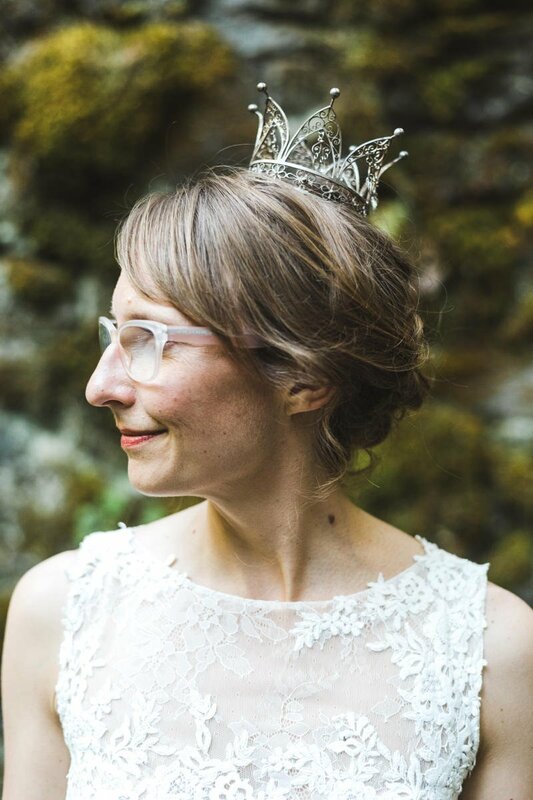 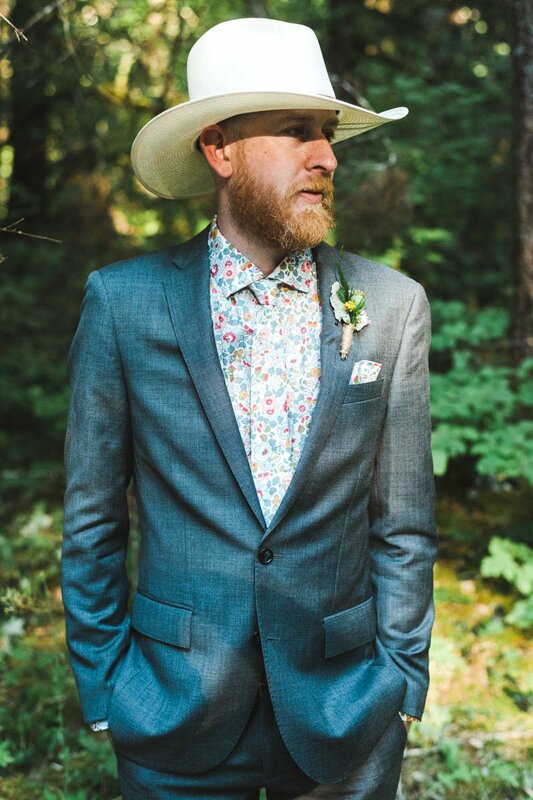 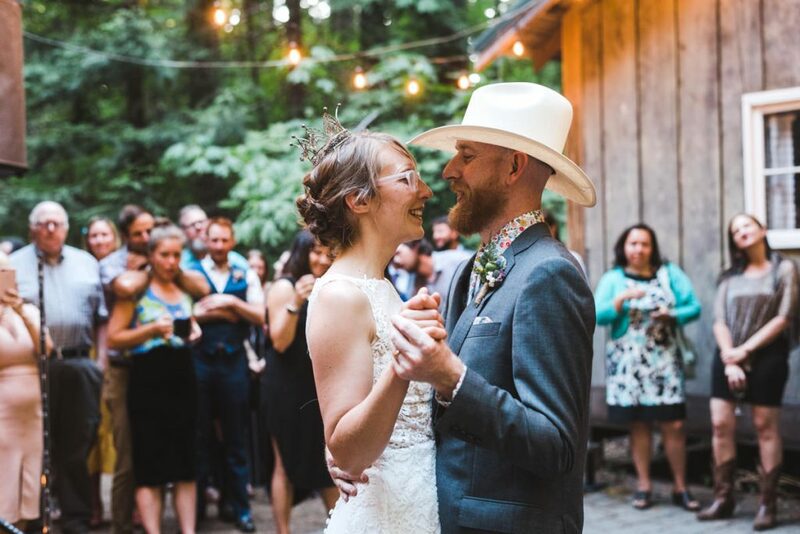 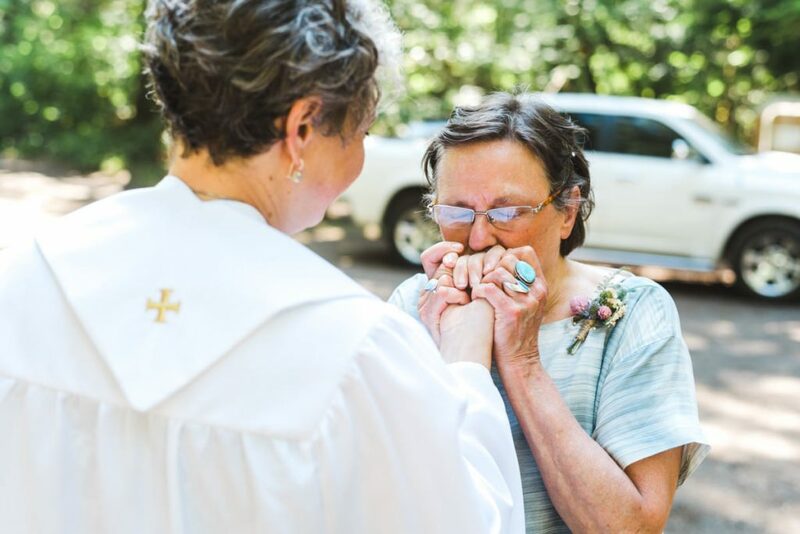 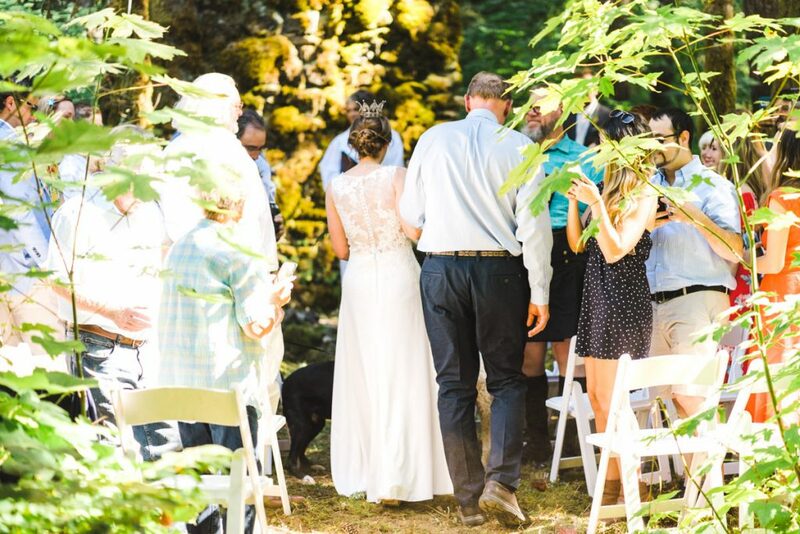 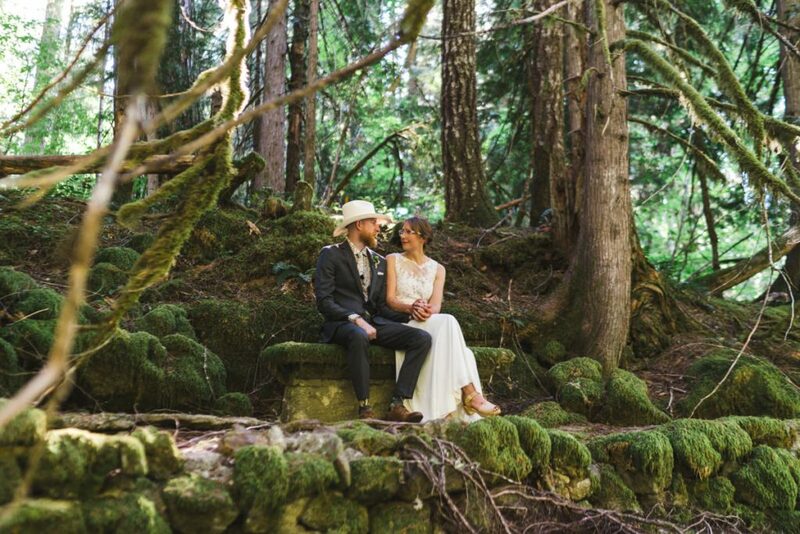 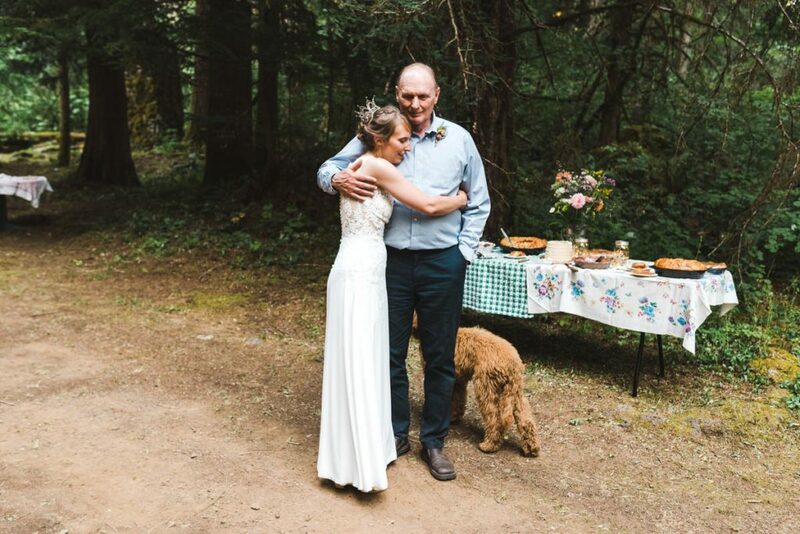 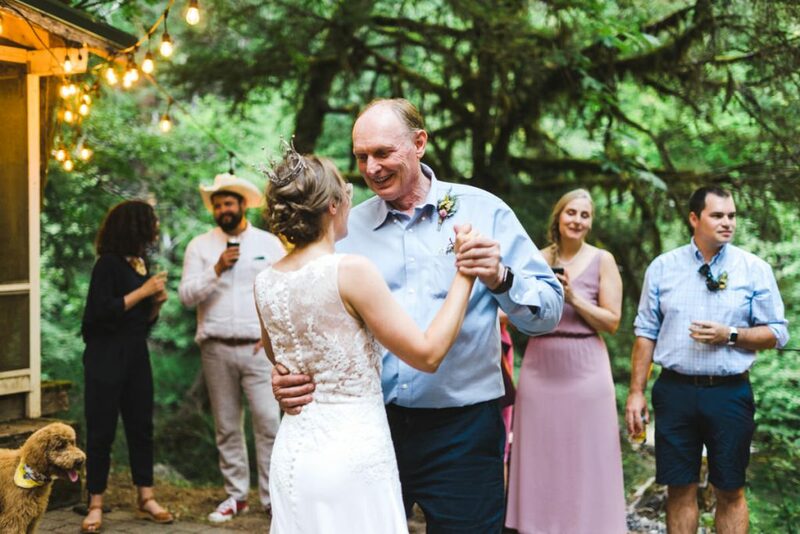 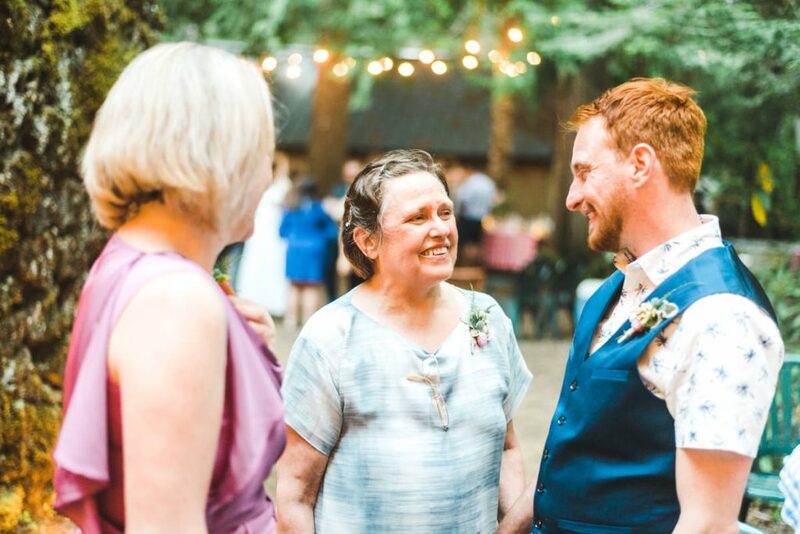 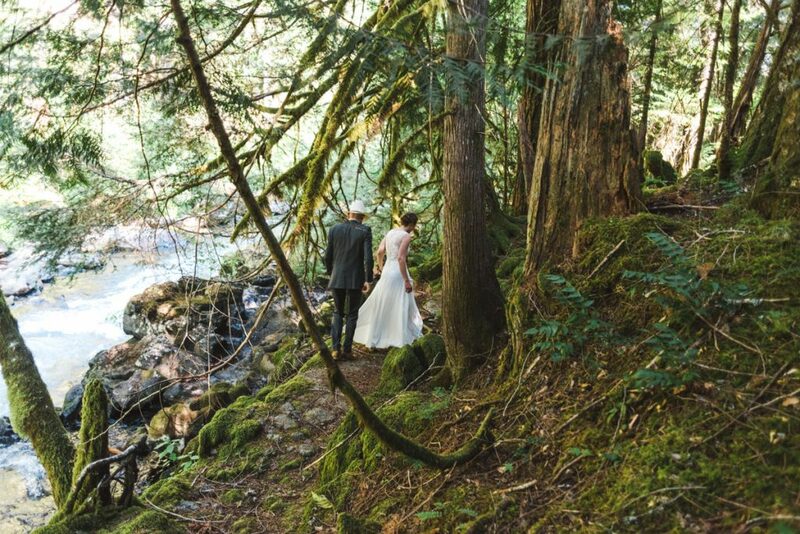 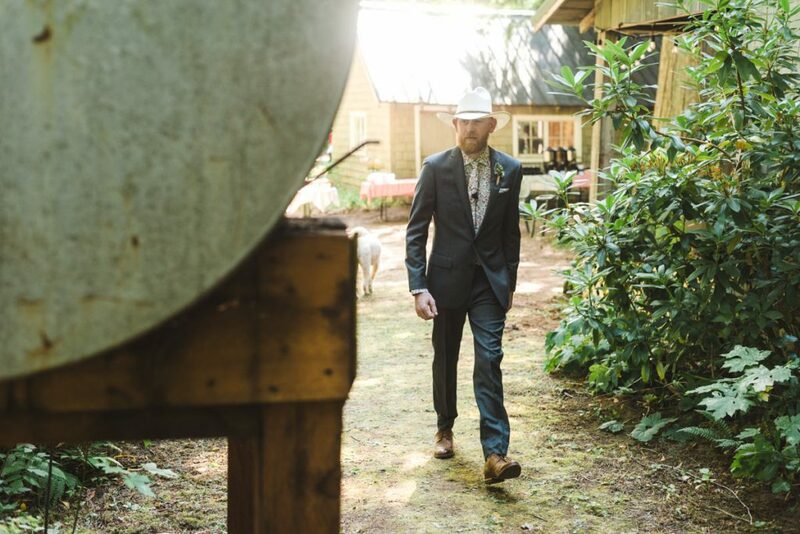 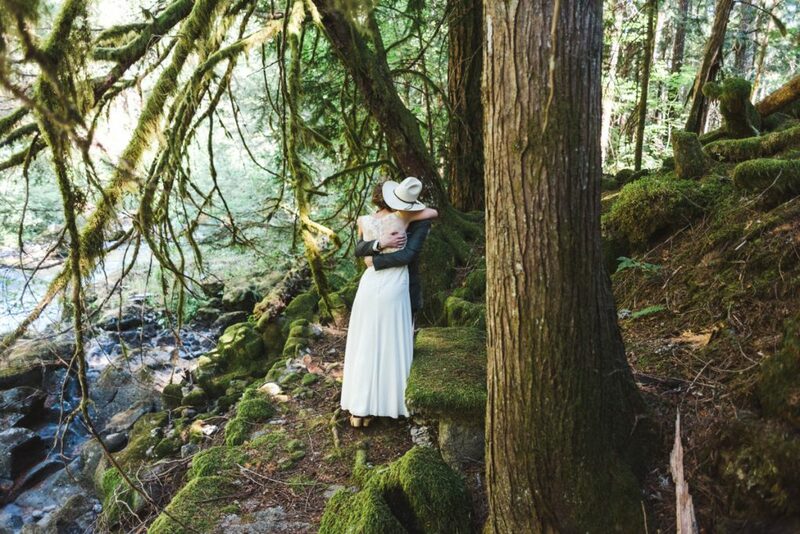 This rustic Columbia River Gorge Wedding was stunning. 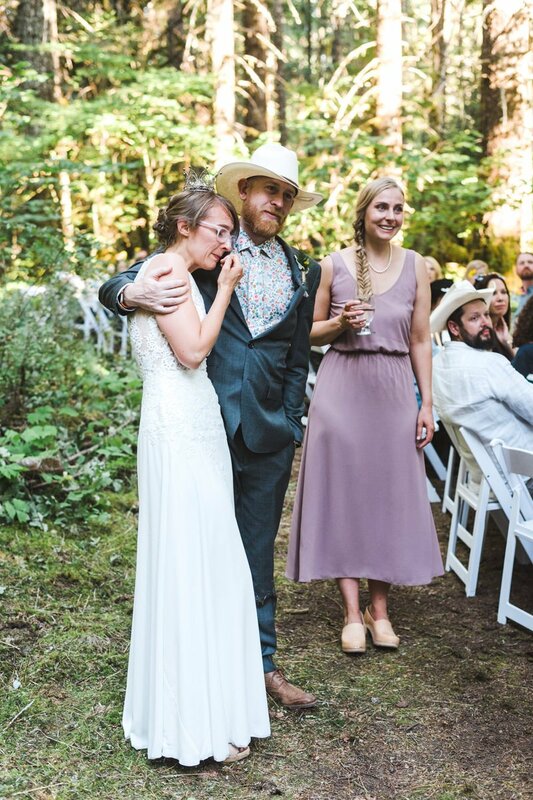 If my perfect couple and perfect wedding could be summed up it would be this. 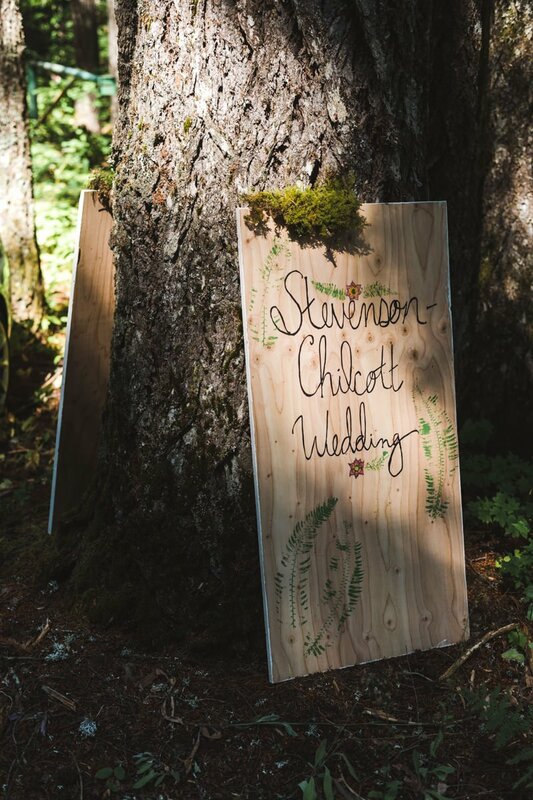 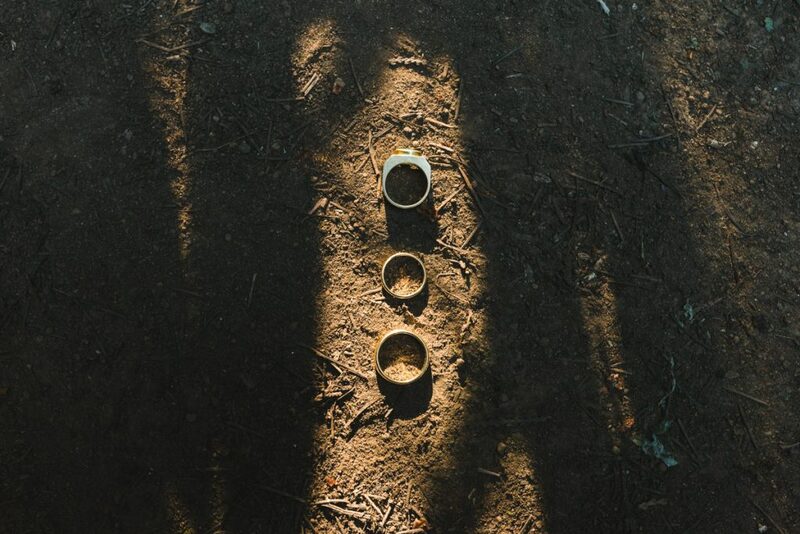 Simple, heartfelt, meaningful, rustic and personal. 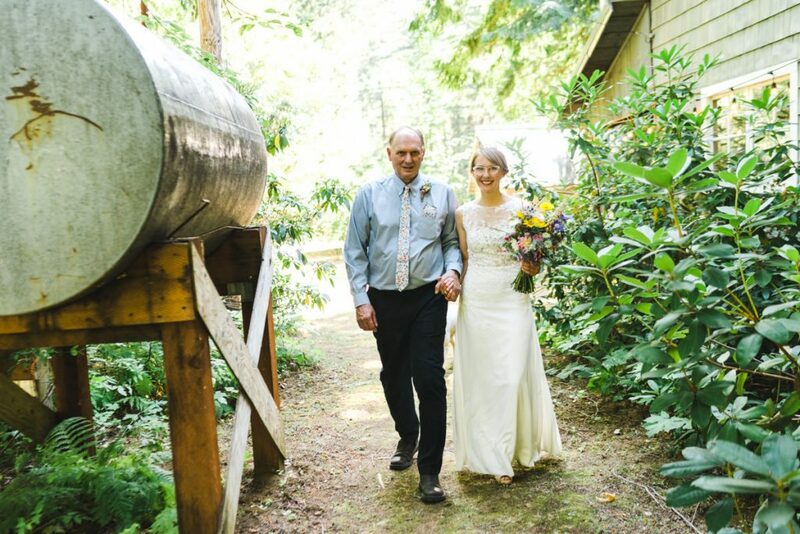 Tim and Amanda decided to get married at Amanda’s family homestead on the Washington side of the gorge just outside of Stevenson, WA. 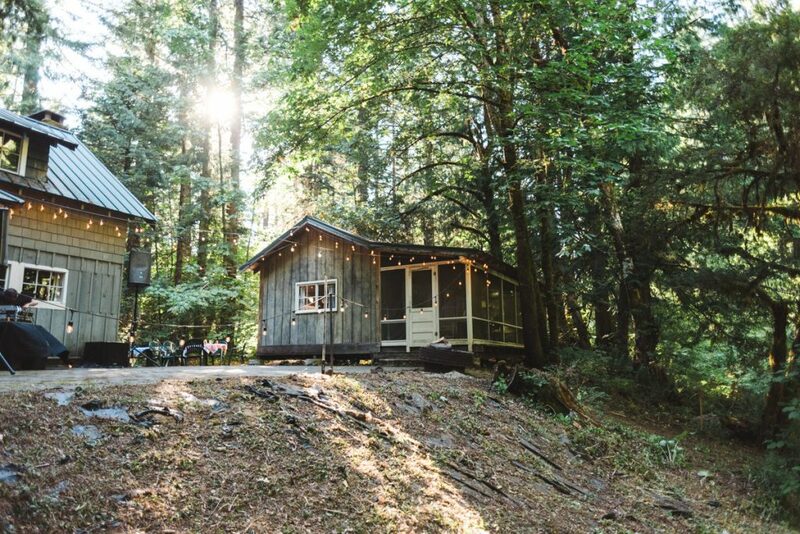 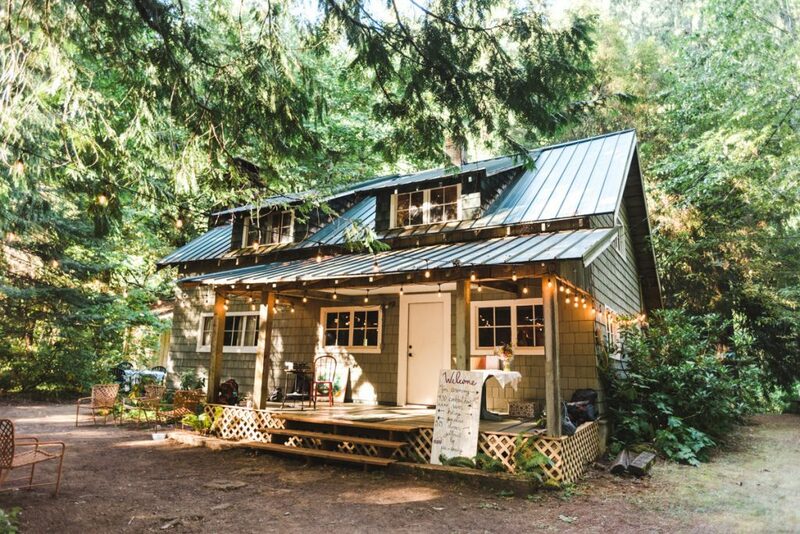 The cabin sits right next to the Gifford Pinchot National Forest so you can walk miles in any direction and never see anything but a Bigfoot or some deer. 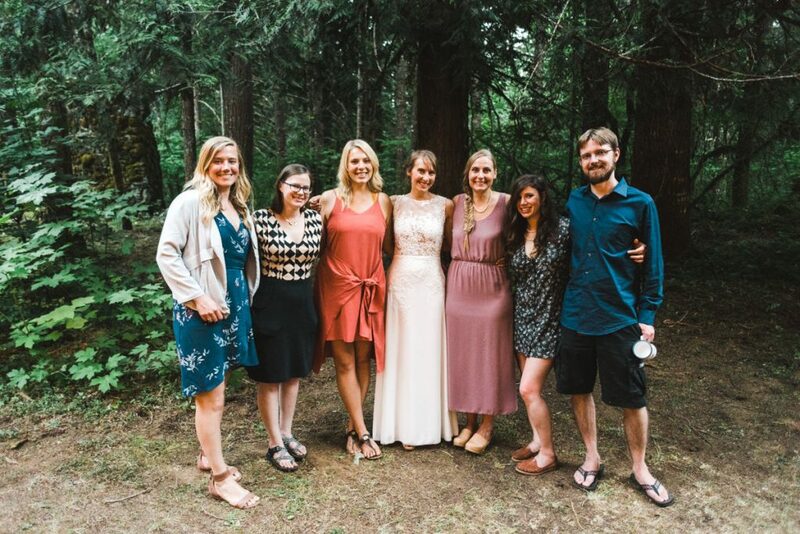 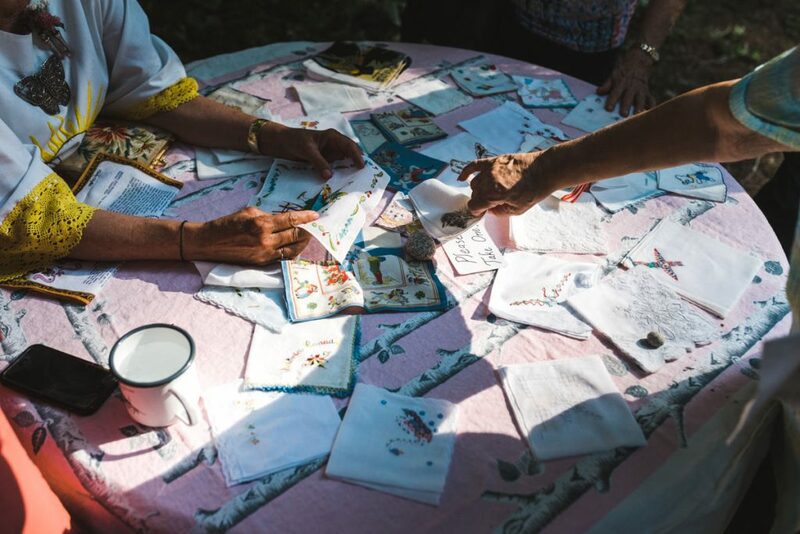 Originally when I met with them they wanted me to focus on friends and family. 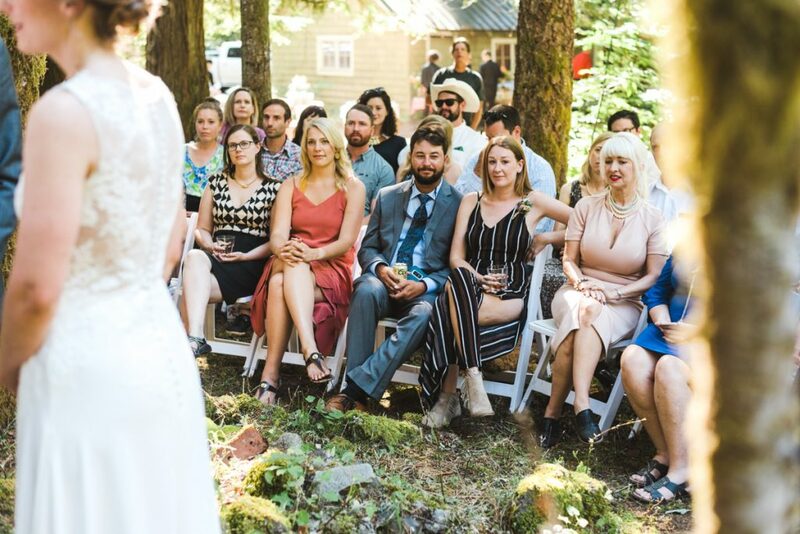 Bride and groom portraits weren’t as important to them as capturing them enjoying their wedding with their closest friends and family. 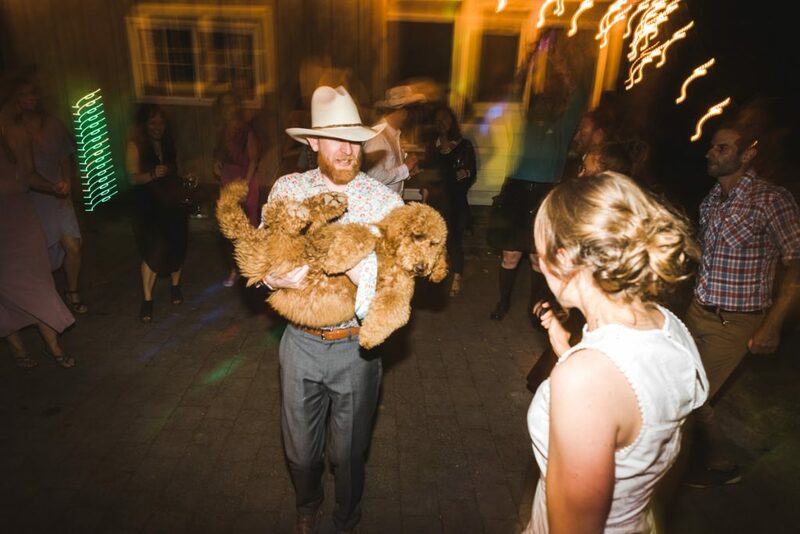 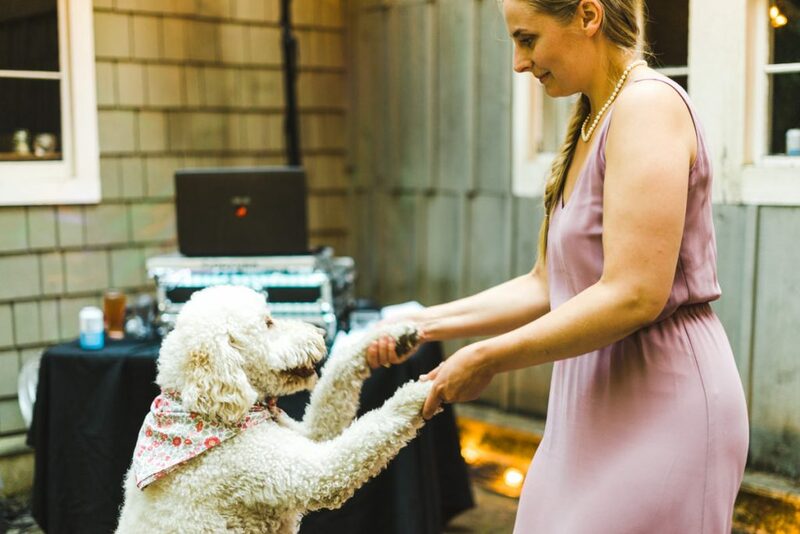 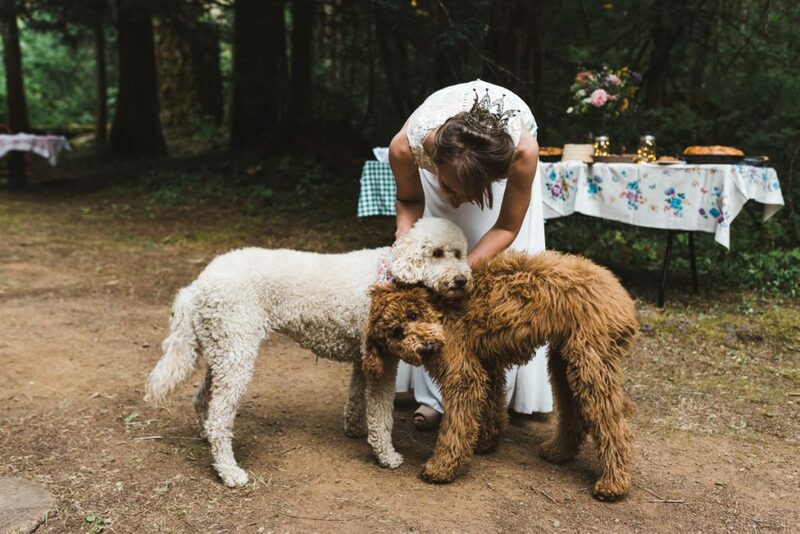 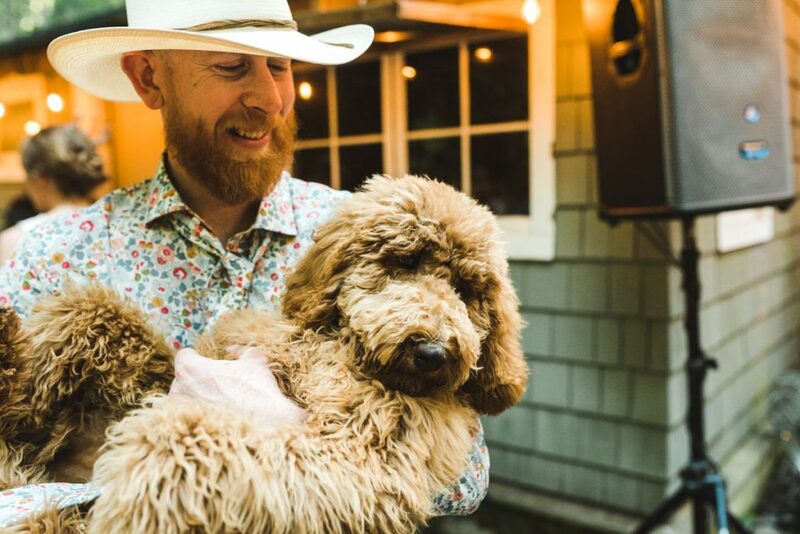 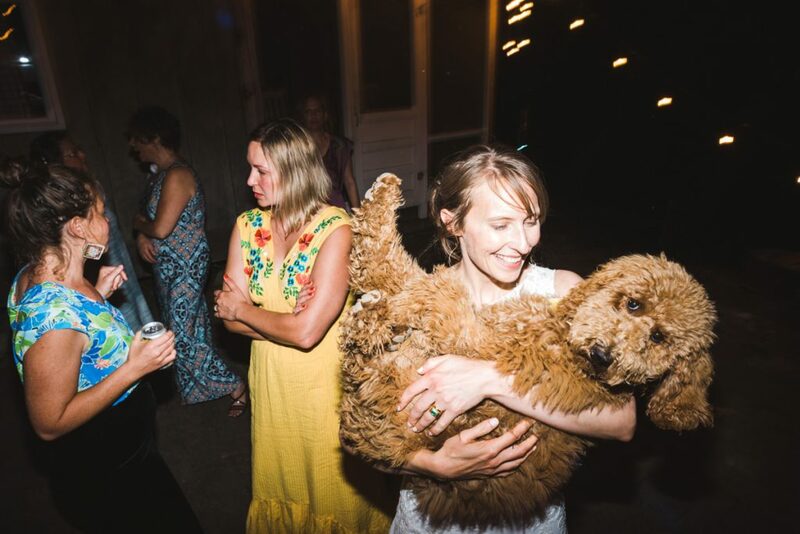 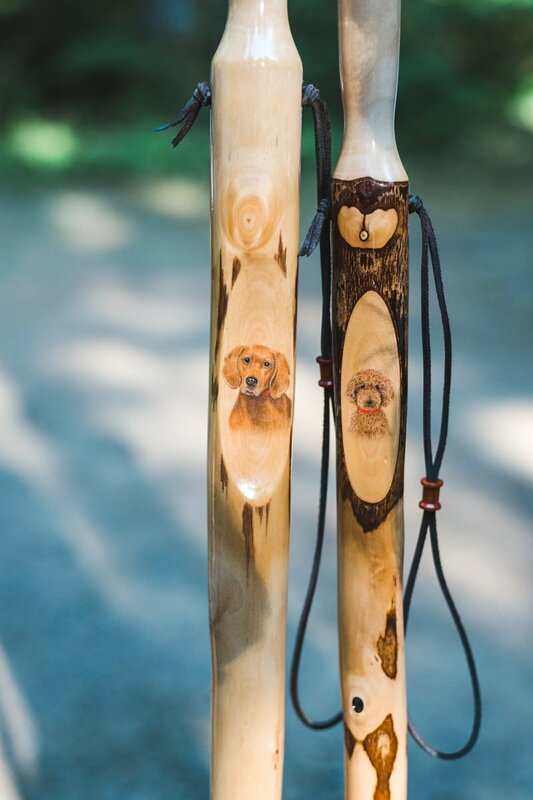 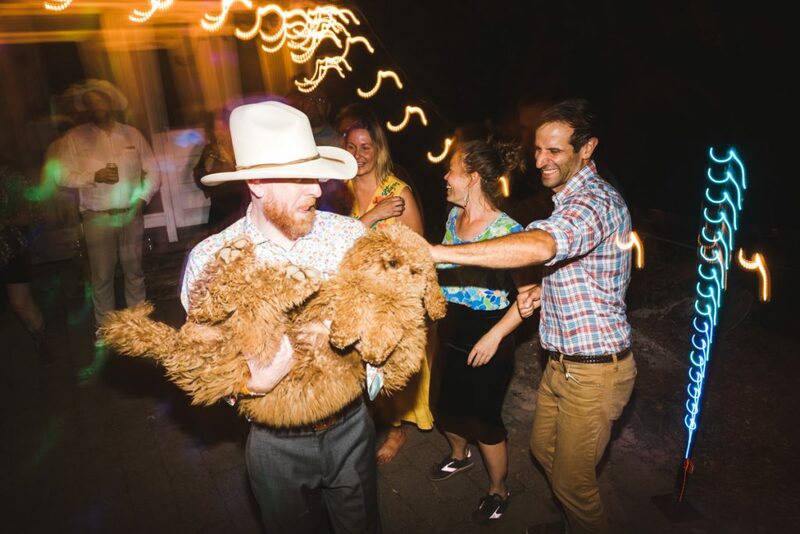 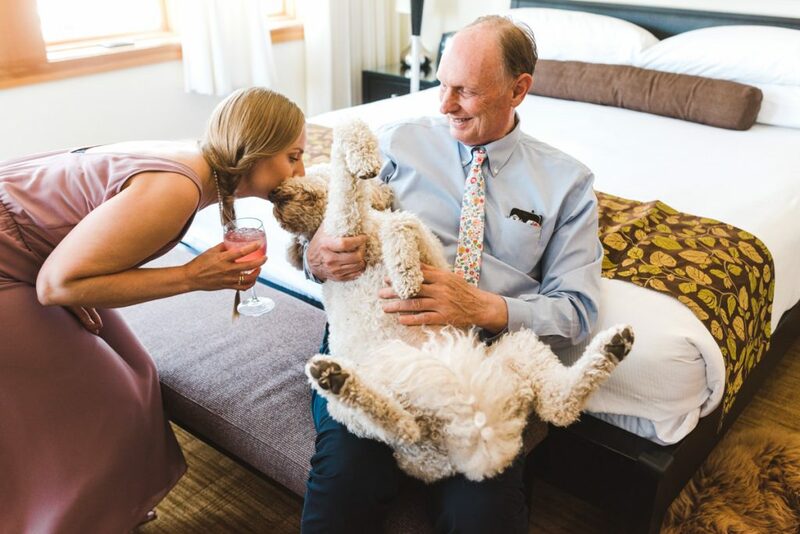 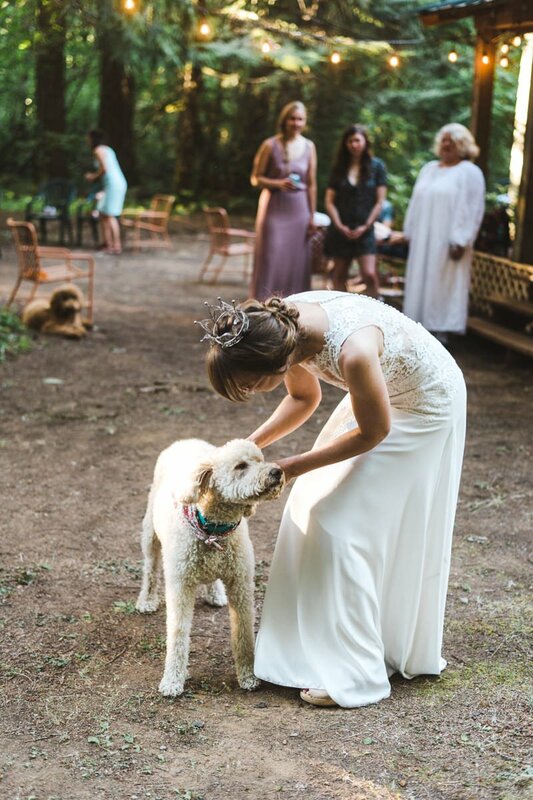 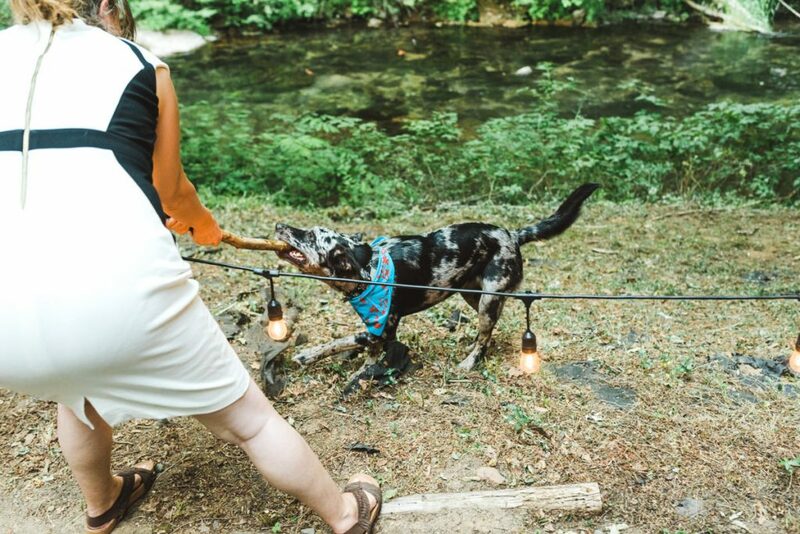 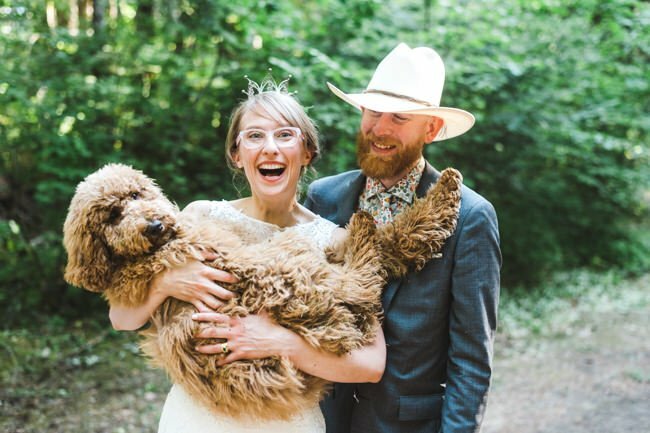 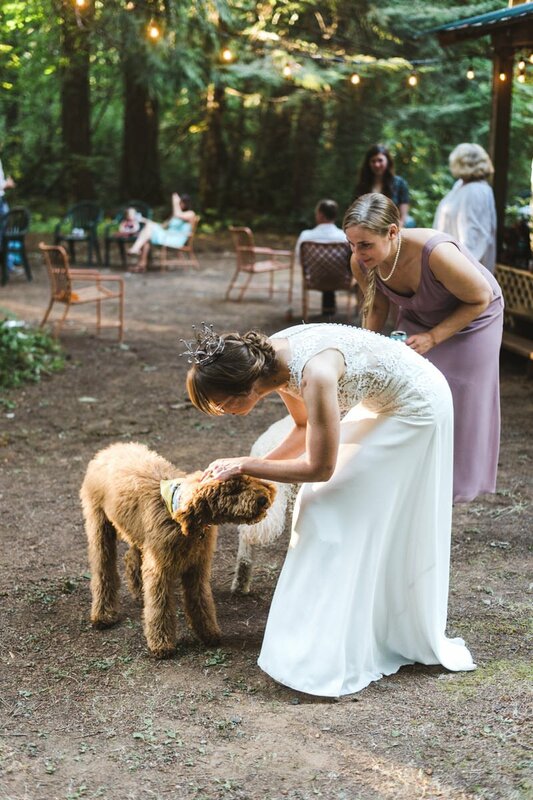 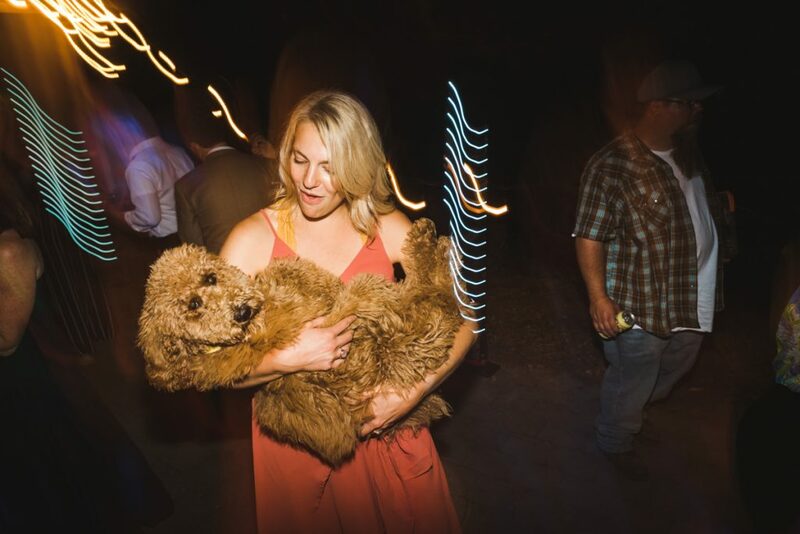 The dogs were a huge part of their lives as well and they wanted to make sure they would be captured(dogs make every wedding better). 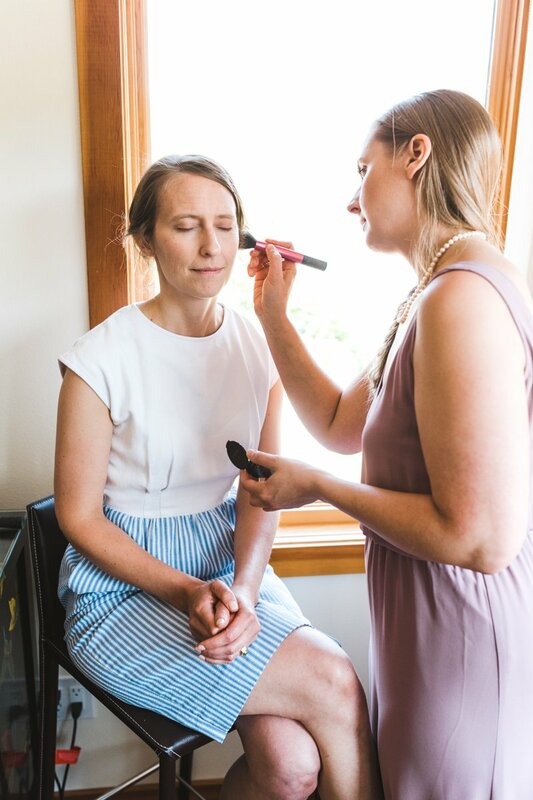 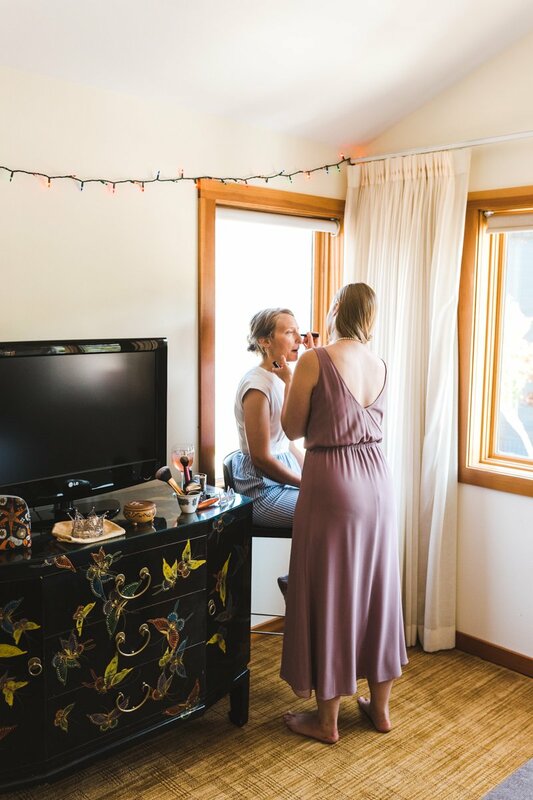 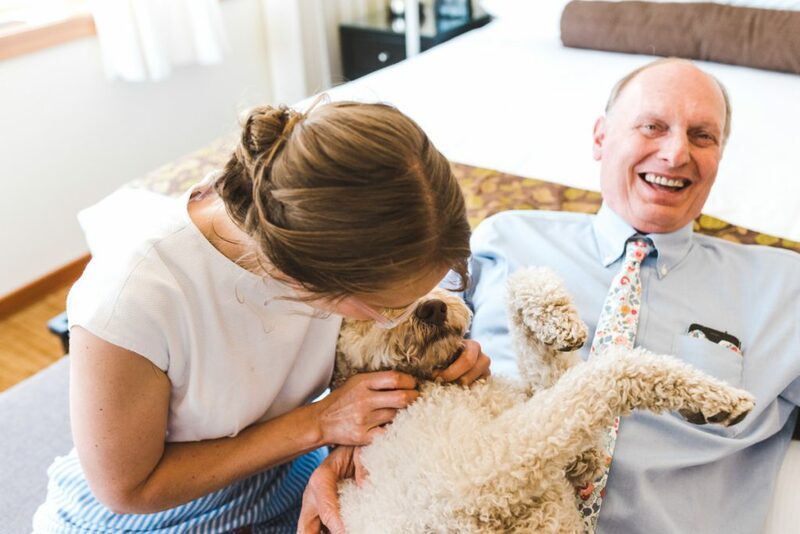 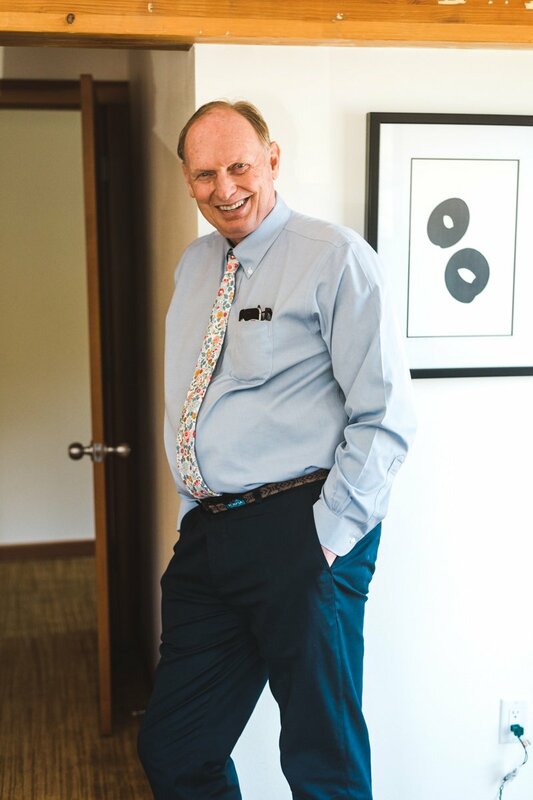 I met Amanda at her hotel room in Hood River to capture her getting ready and some quick family photos. 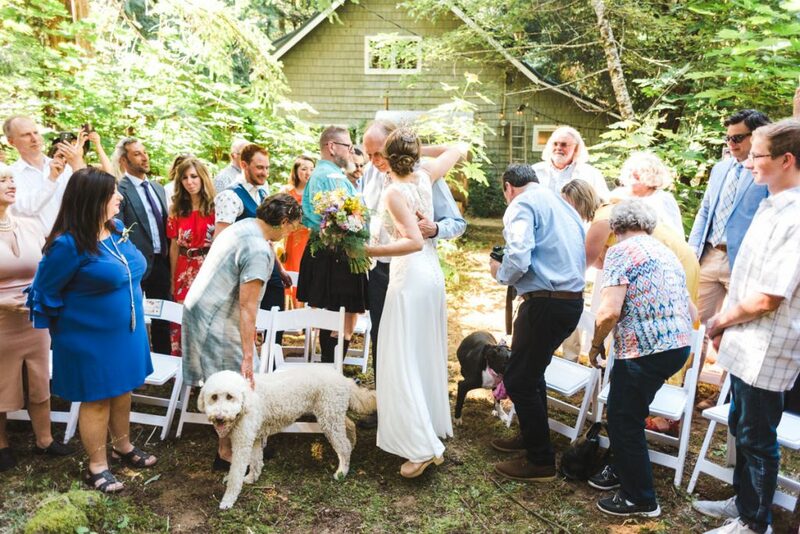 Then we all drove out to the Cabin to meet Tim who was directing all of the other vendors and making sure everything went off without a hitch. 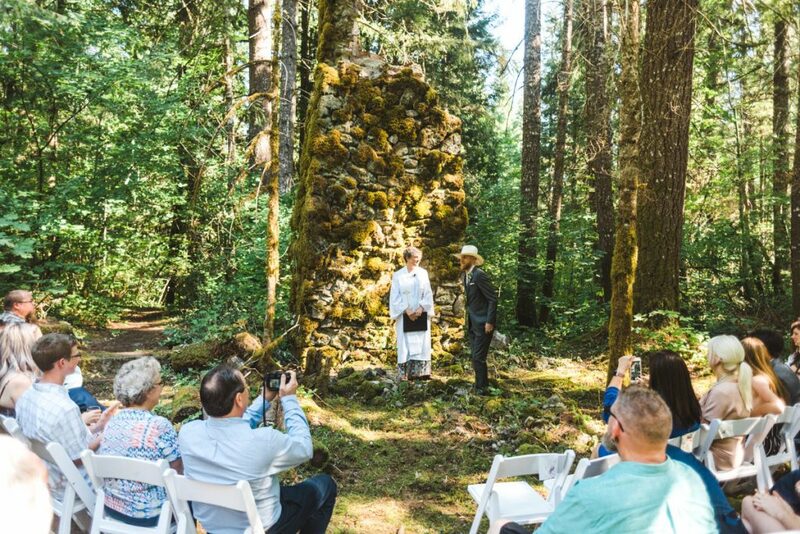 The ceremony took place against the original homes chimney. 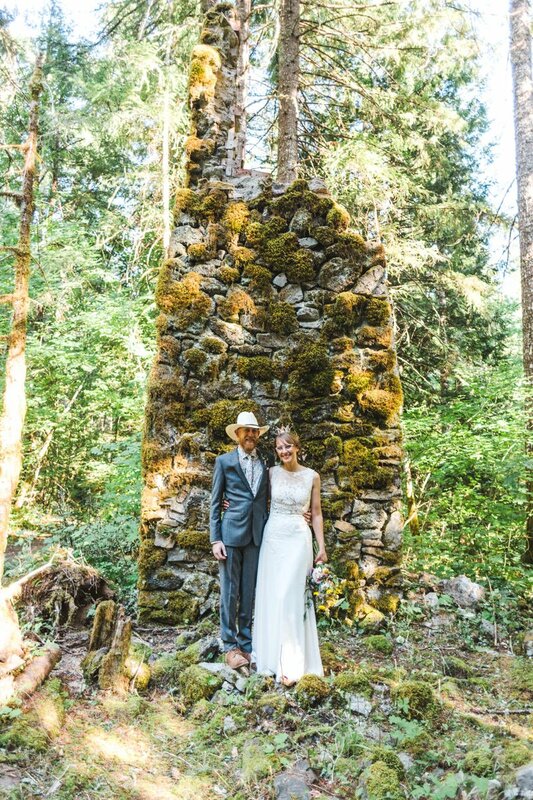 The home no longer exists but the chimney still stands. 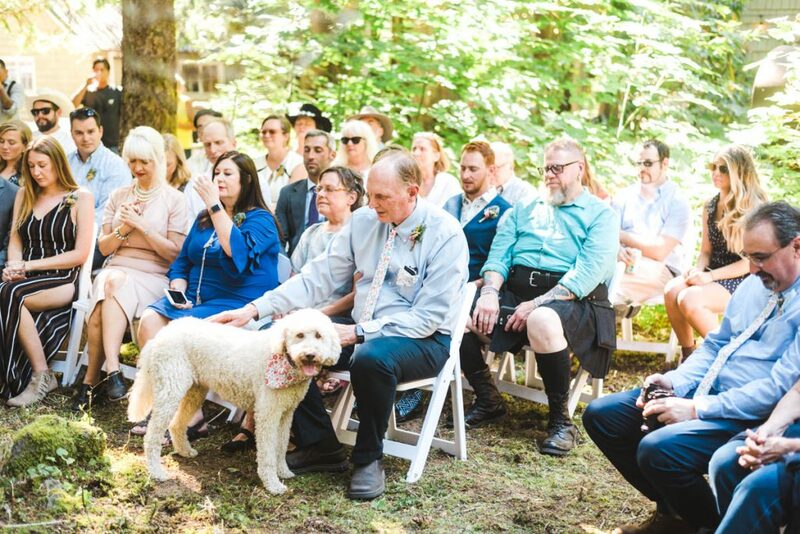 As soon as the ceremony was over Tim and Amanda ran off down a trail(surprise to everyone) to sit down by the river on a bench that her grandpa had made. 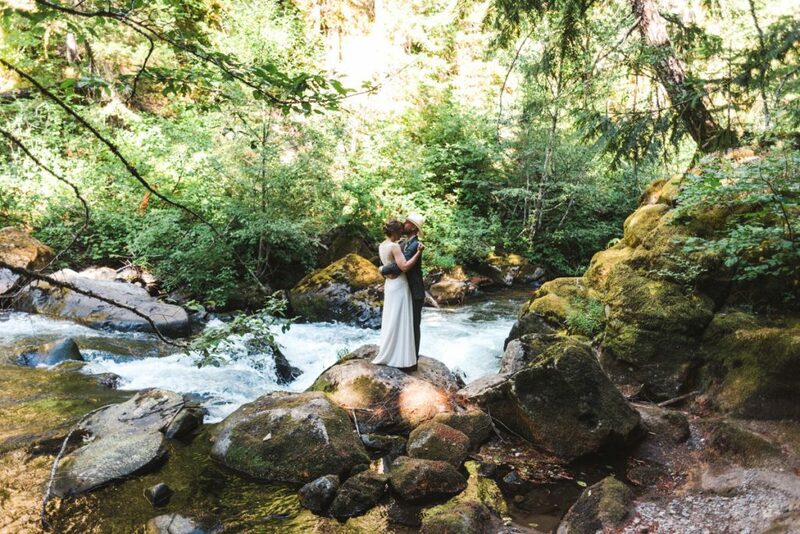 The photos from the river are where that took place. 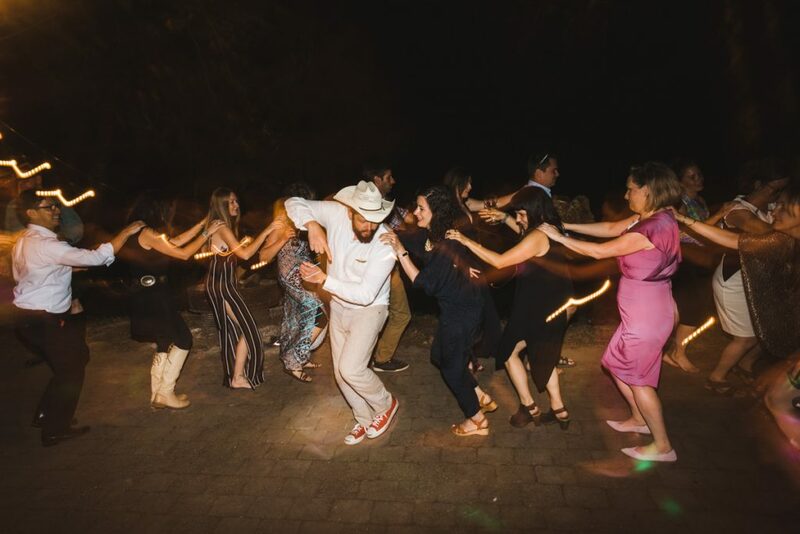 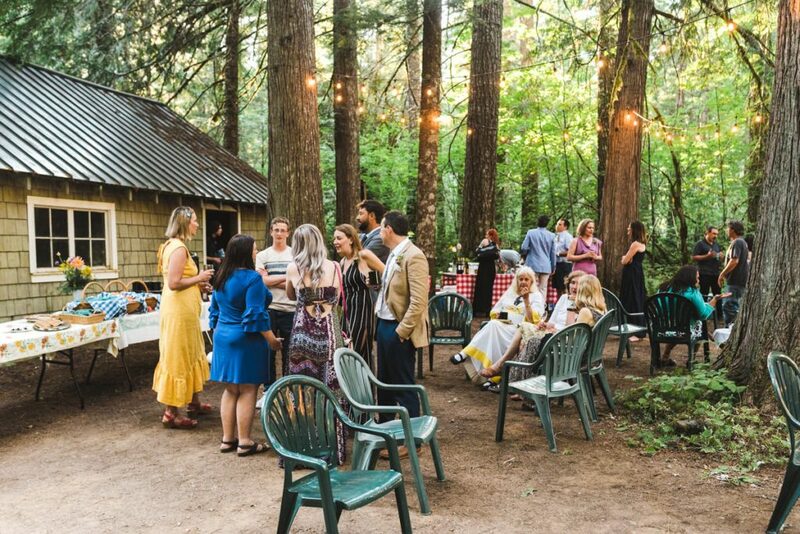 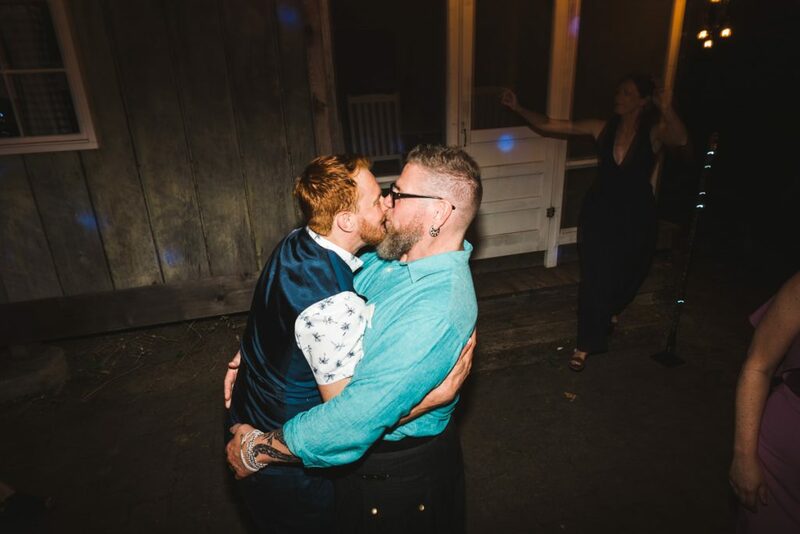 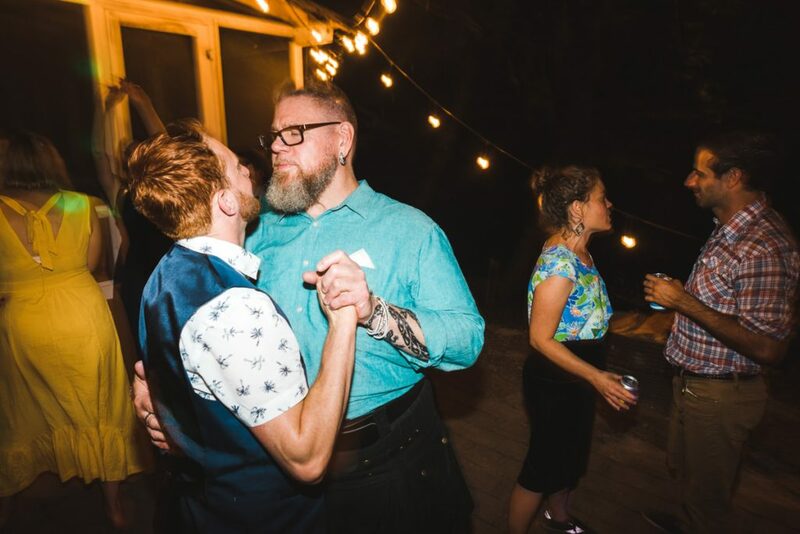 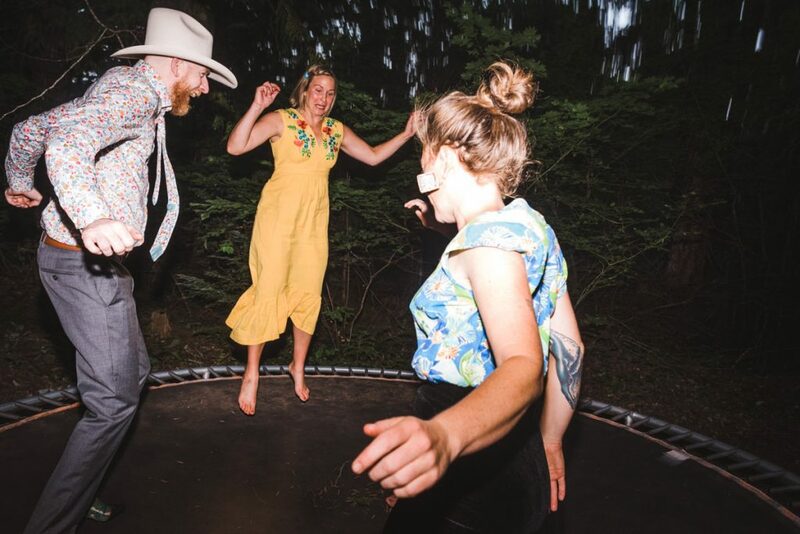 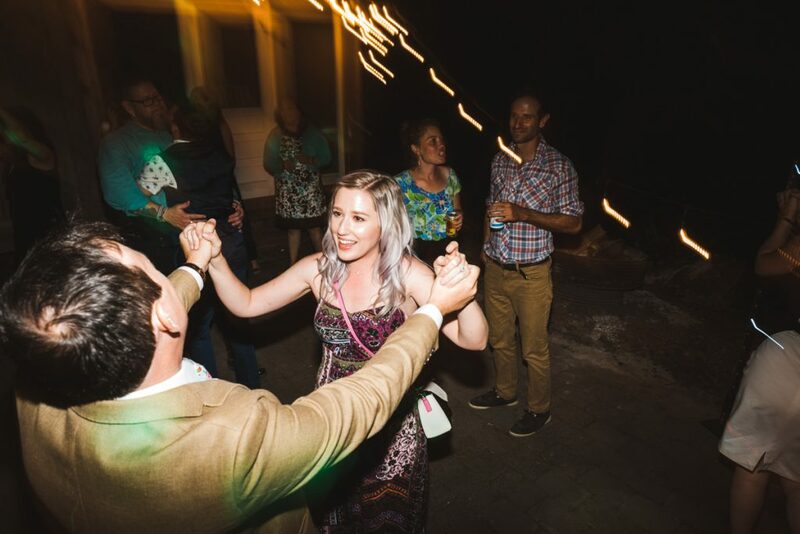 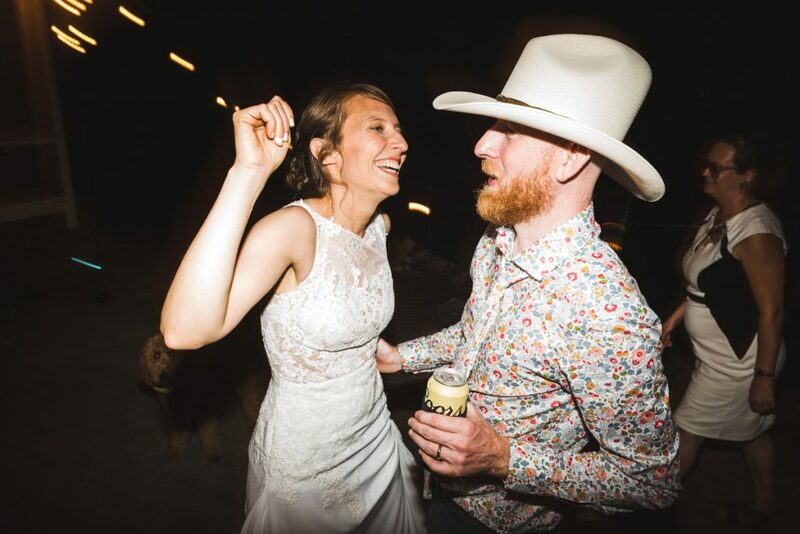 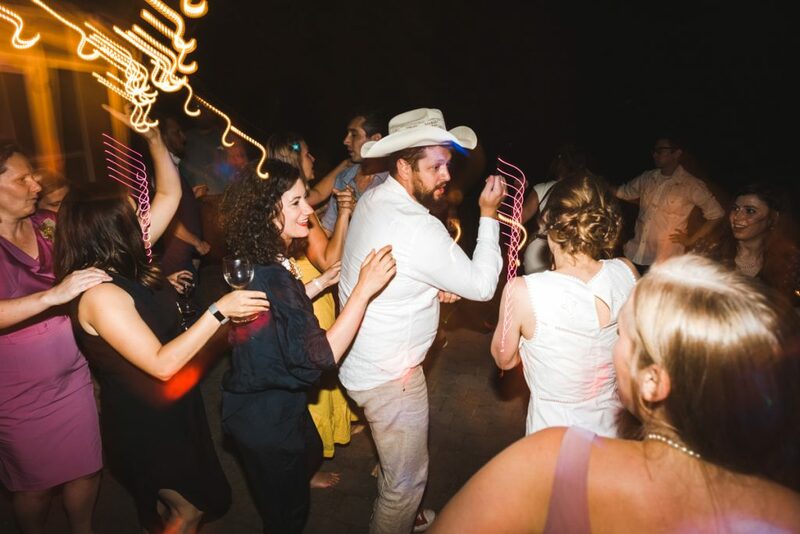 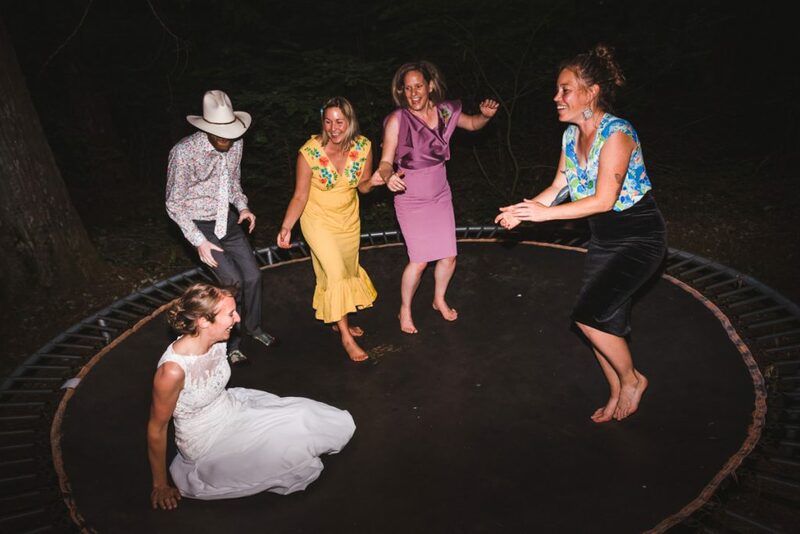 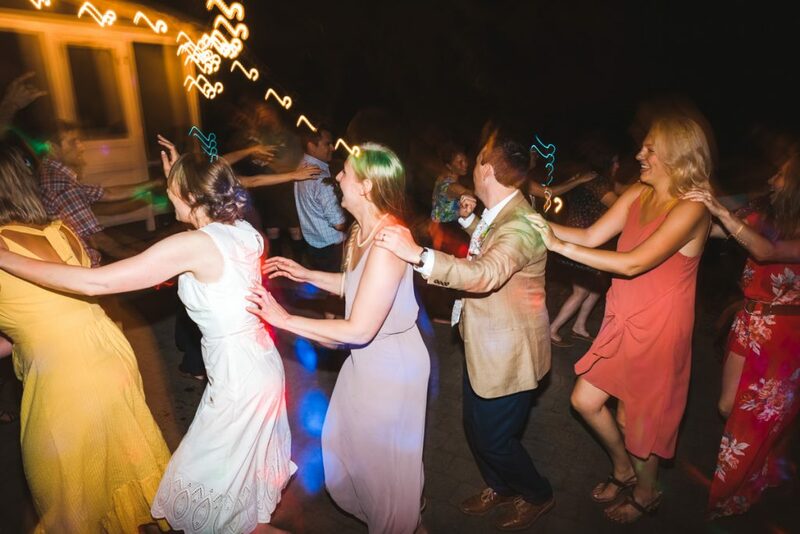 As soon as we finished bride and groom portraits everyone just had the rest of the night to relax, eat delicious food and dance. 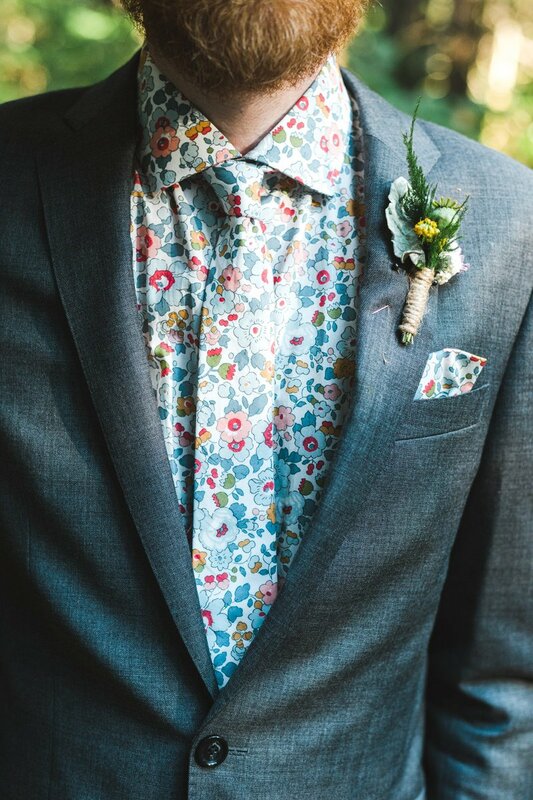 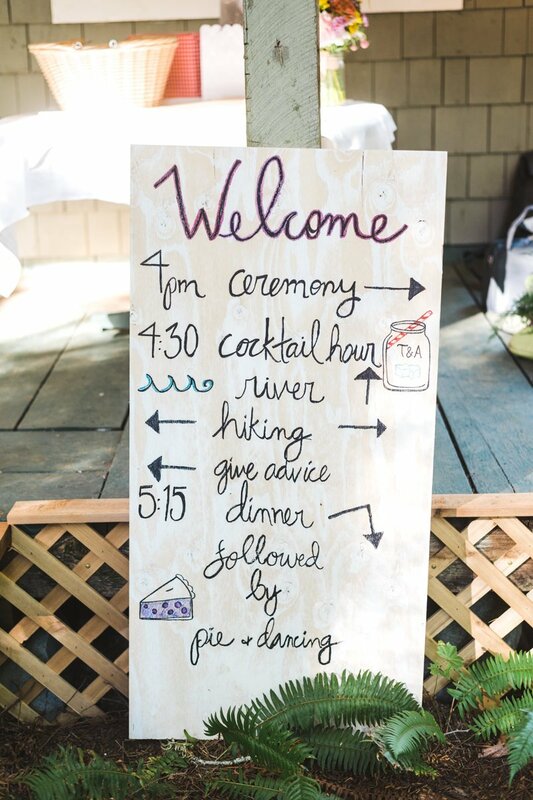 As simple and perfect as a wedding gets. 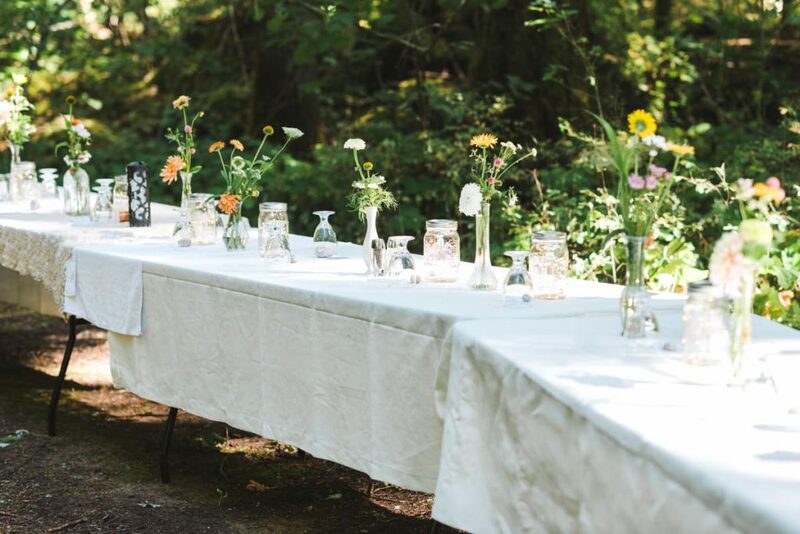 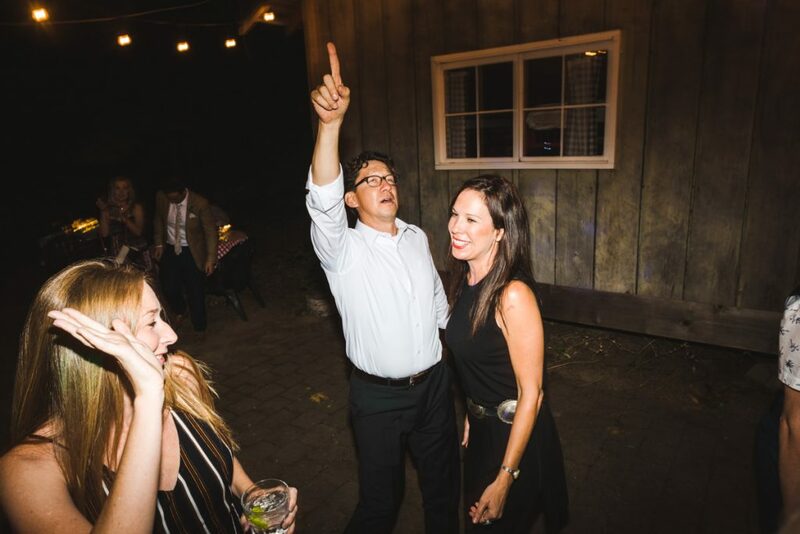 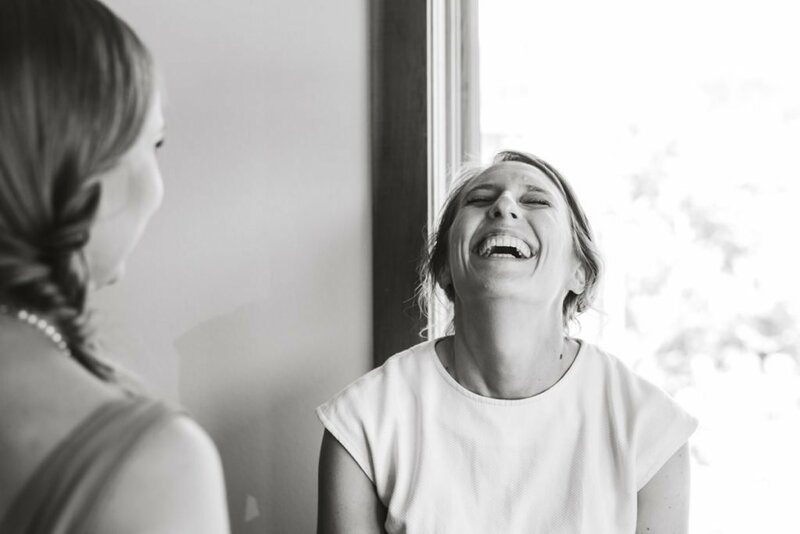 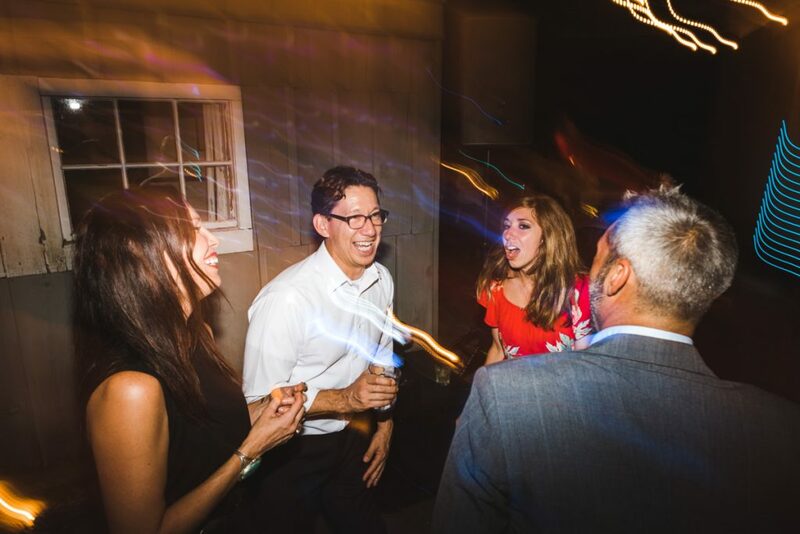 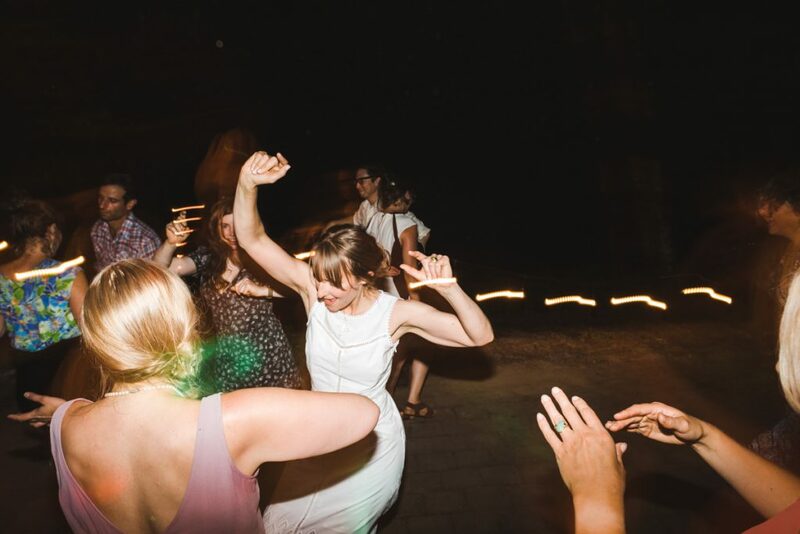 What I loved about this wedding was the simplicity without sacrificing beauty. 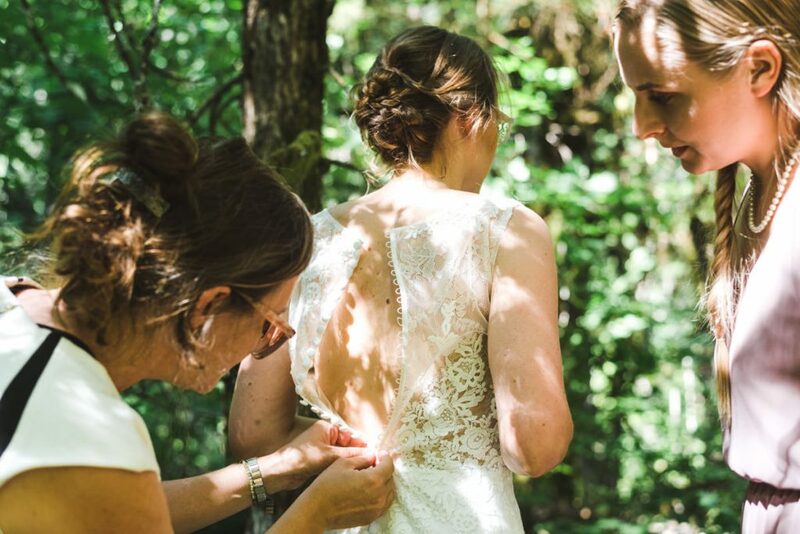 All of the details were done by hand and had very personal touches. 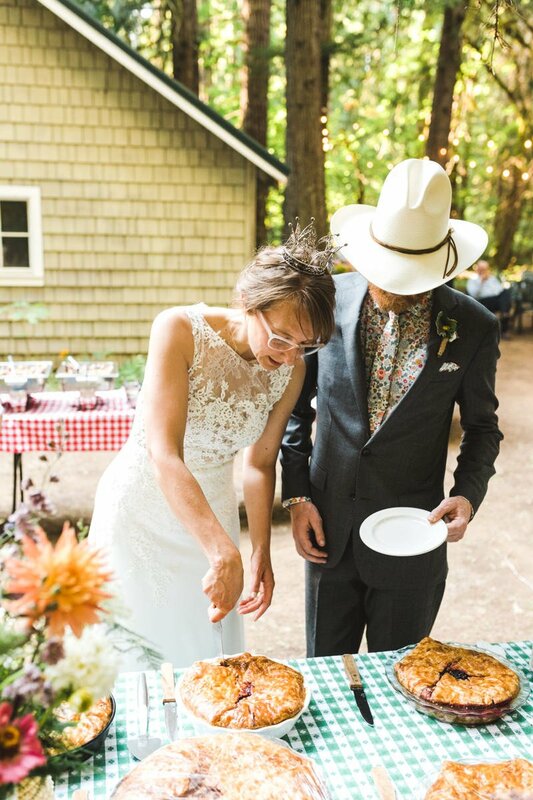 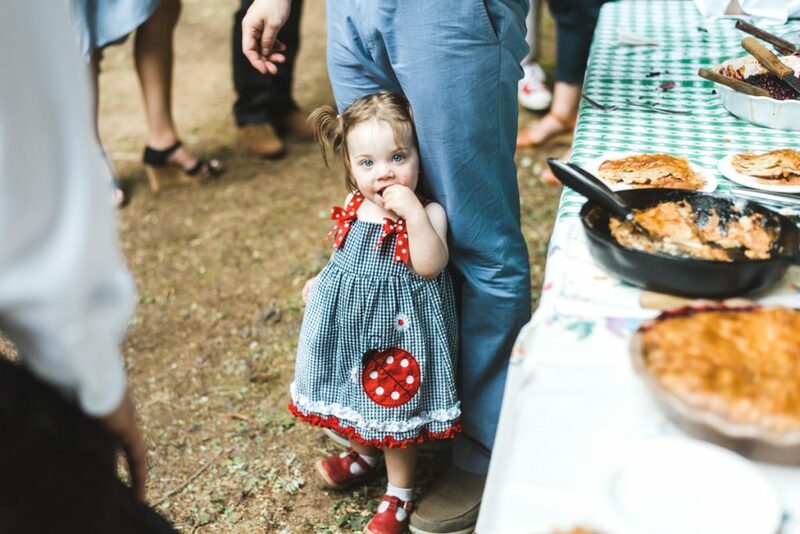 I must say, my favorite part was the homemade huckleberry pies that Amanda baked herself. 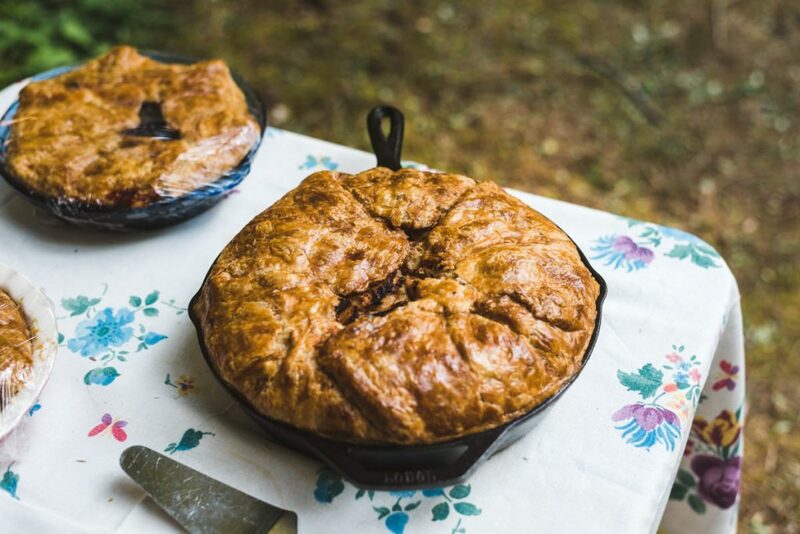 My lord they were delicious. 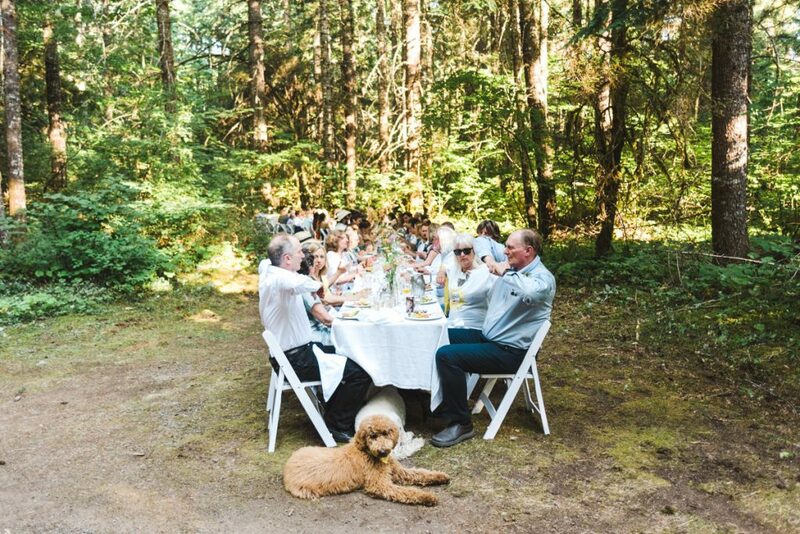 They even had salmon they caught themselves. 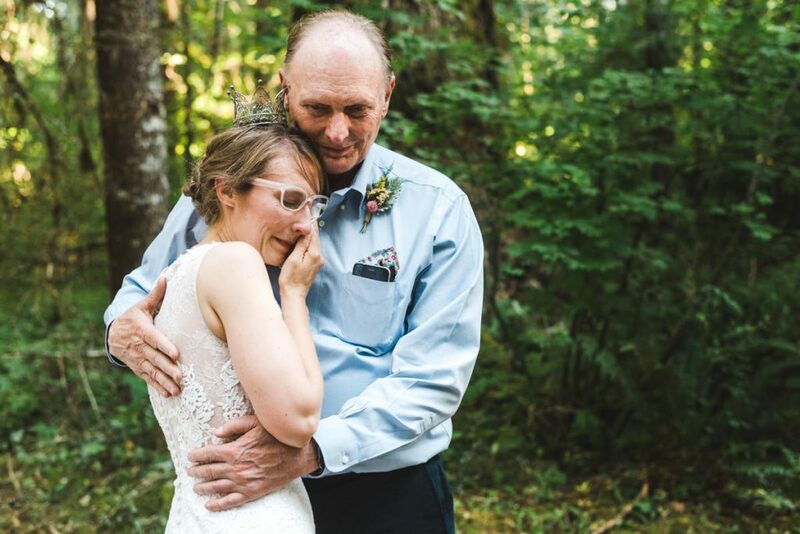 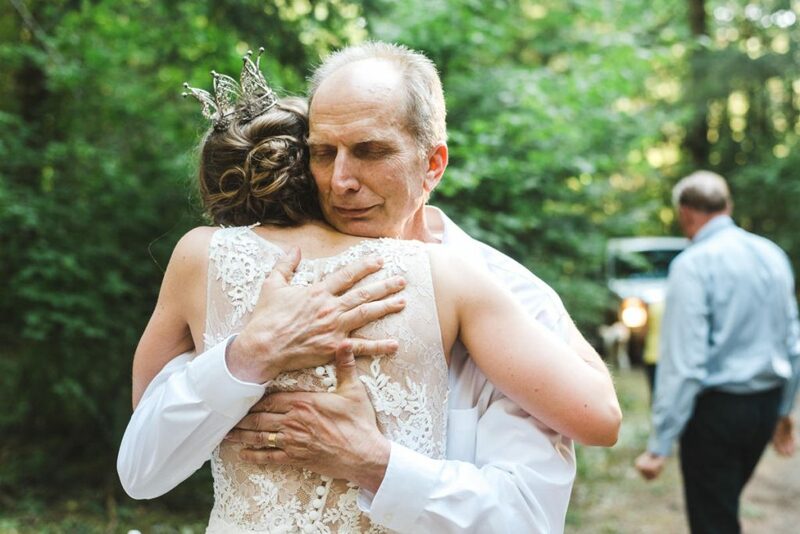 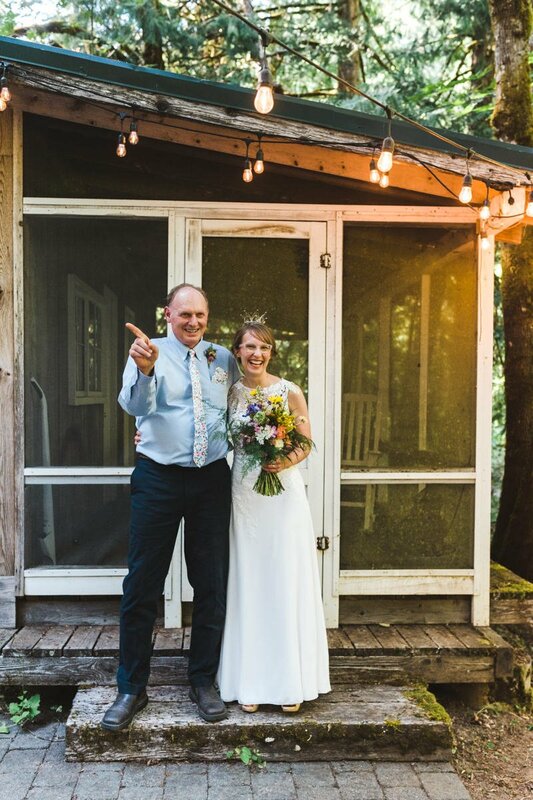 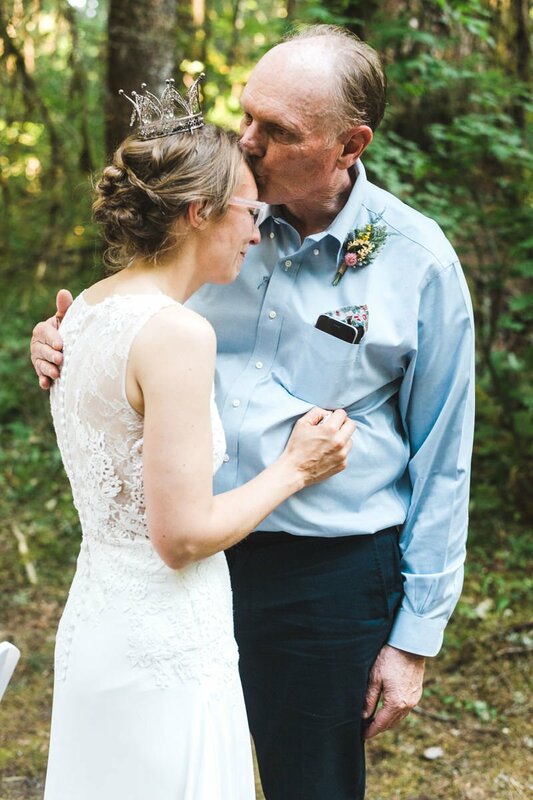 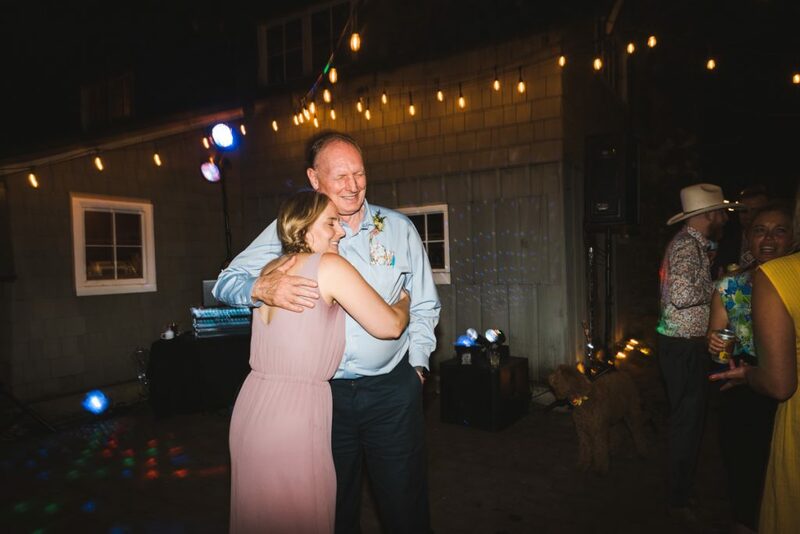 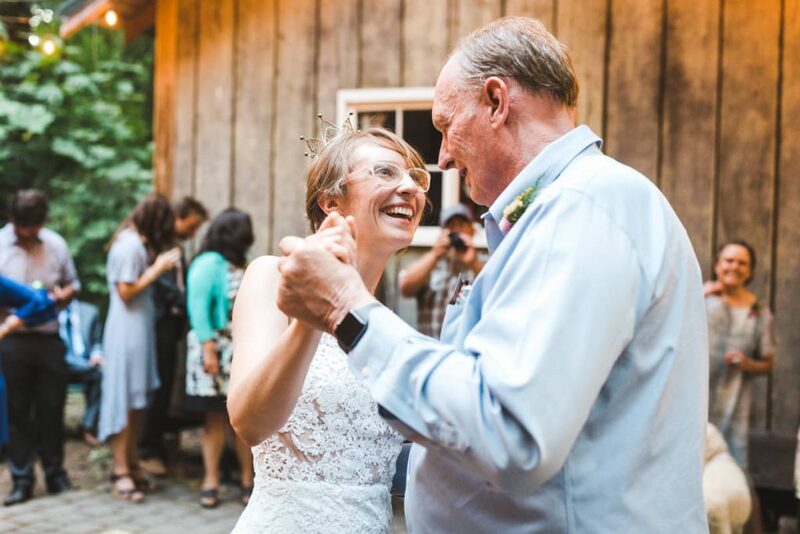 I must add that Amanda’s dad has Alzheimers and it was extremely important to her and her family to capture the joy of the wedding day with him. 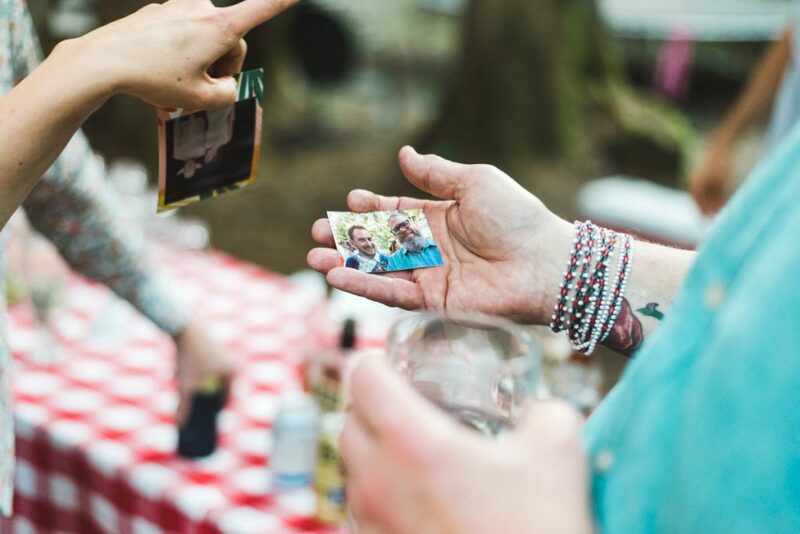 And when you really boil it down, that’s the reason photography is so important. 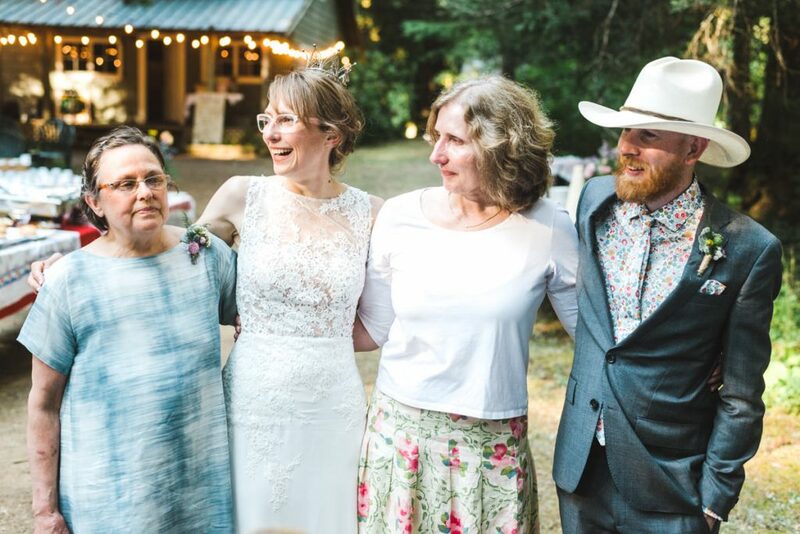 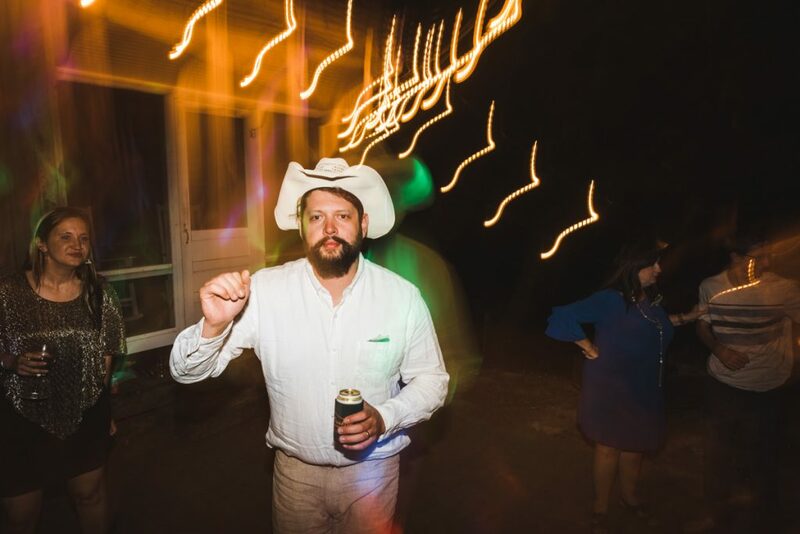 It’s why I never complain about family group shots or the casual, “Hey can you take our photo.” Because in 20 years I know it’s going to be those photos that are most important. 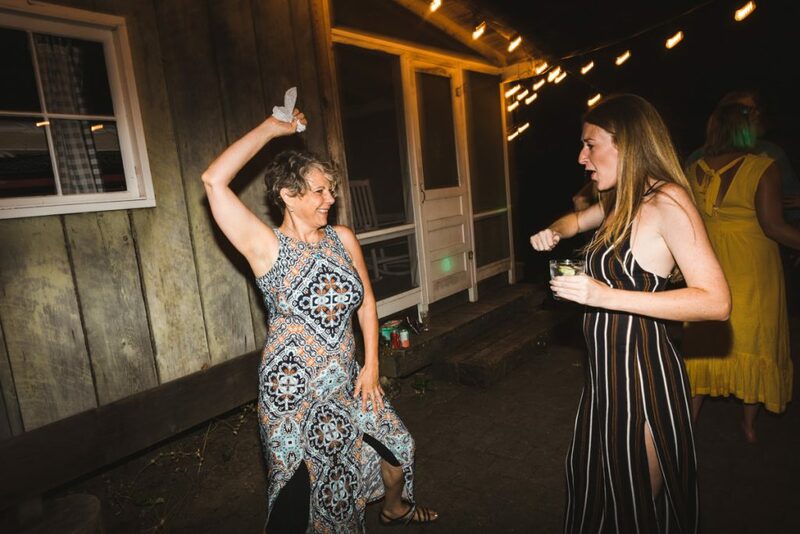 So yeah, this one was a good one y’all.